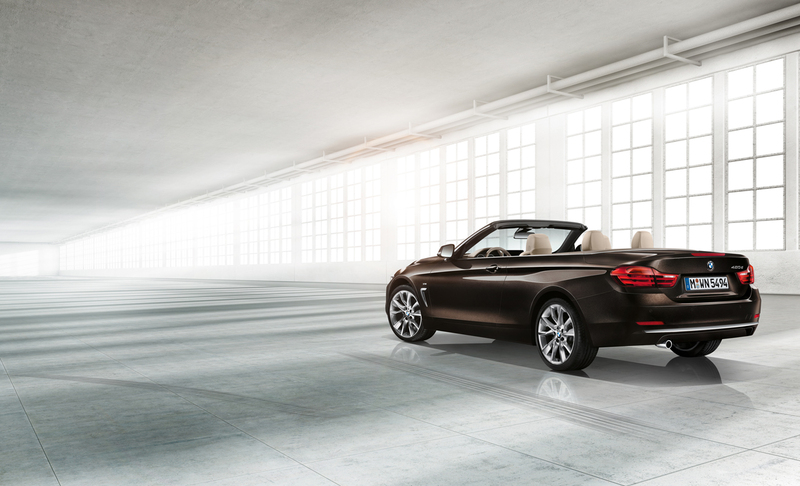 The 4 Series convertible has arrived. 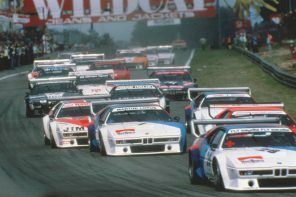 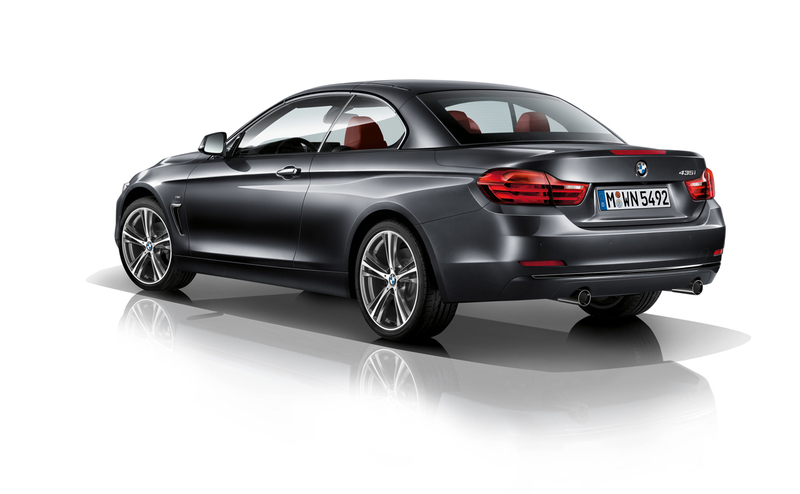 And perhaps unsurprisingly it picks up where the E93 3 Series convertible left off. 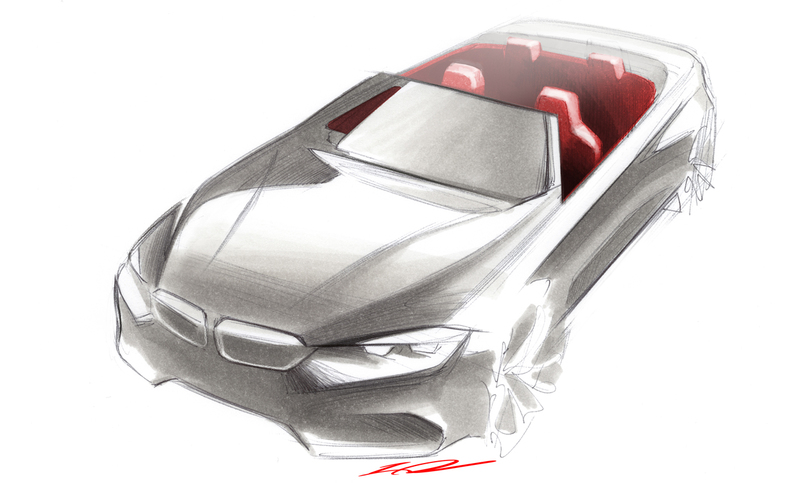 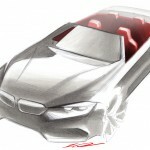 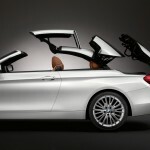 Once again the top is a three piece metal folding top at the heart of the concept. 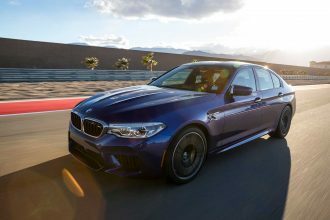 However, the successor to the E93 3 Series features a number of new features and functionality that make the F33 4 Series worthy of the new name. 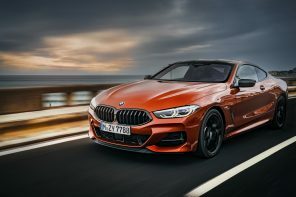 The first thing you’ll notice about the new car is a more traditional BMW roofline rather than the extreme sloping look of the 3er coupe. 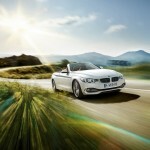 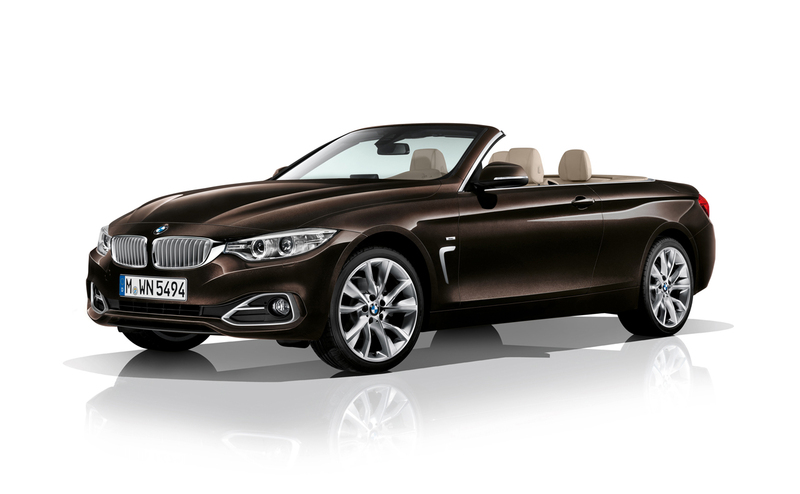 In our eyes this gives the 4 Series convertible a more classic look and dare we say, attractive. 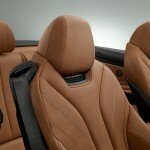 Also new, are the front seats which are unique to the 4er convertible. 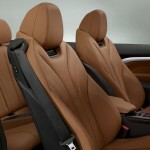 A first for a BMW, they feature neck heating as part of the optional cold weather package. 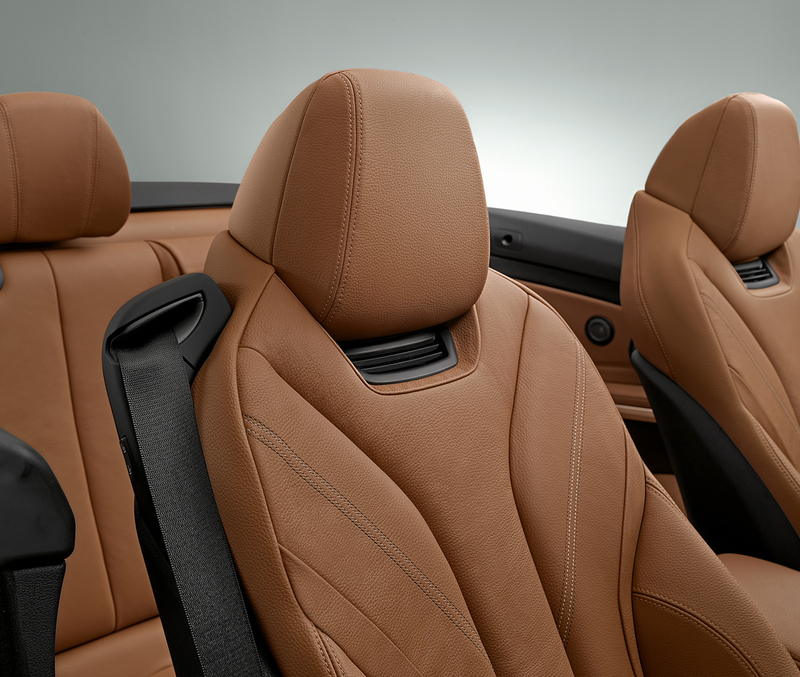 Yes, there really is an option for neck heaters. 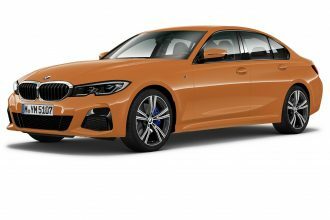 Pricing is up just under $1,000 across the board but includes new standard features and of course all the improvement that come with a completely new car. 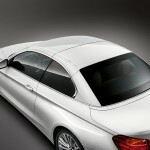 • The standard windblock is now smaller, lighter and easier to use, plus it is more effective than previous variants. 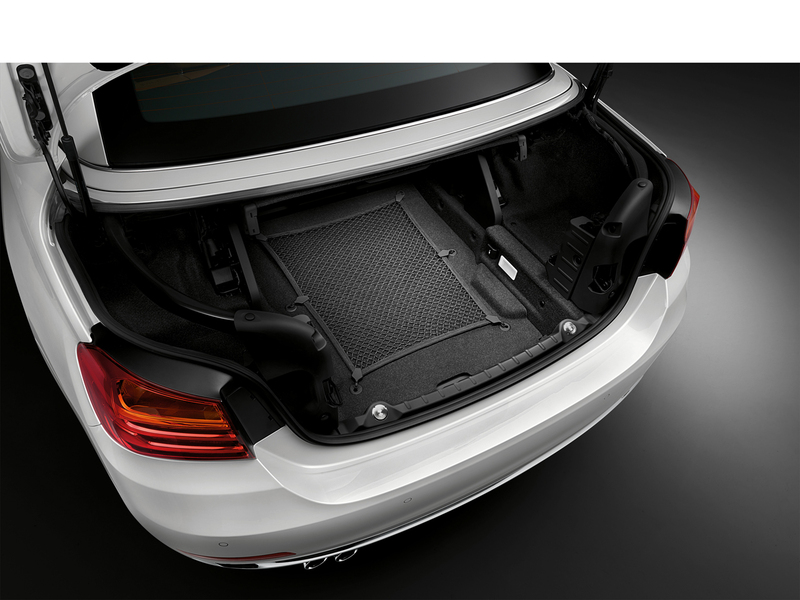 • Wider access to the luggage compartment, and an electro-hydraulic loading assistance system ensure maximum utilization of the 7.8 cu. 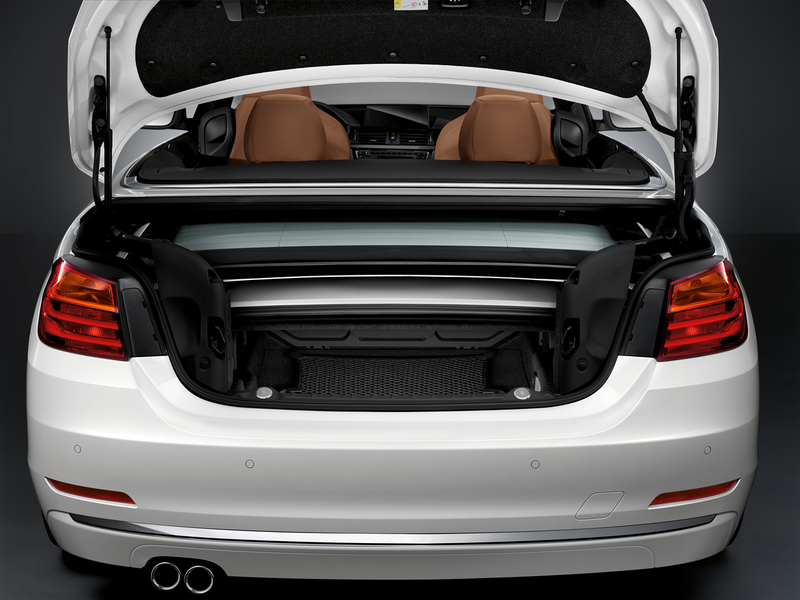 ft. of storage space available. 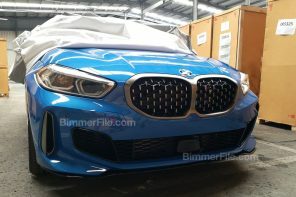 Look for more in the way of photos and video soon. 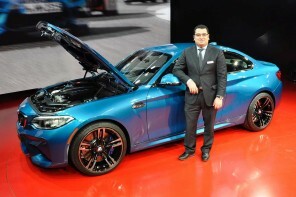 In the meantime check out the launch gallery and full press release. 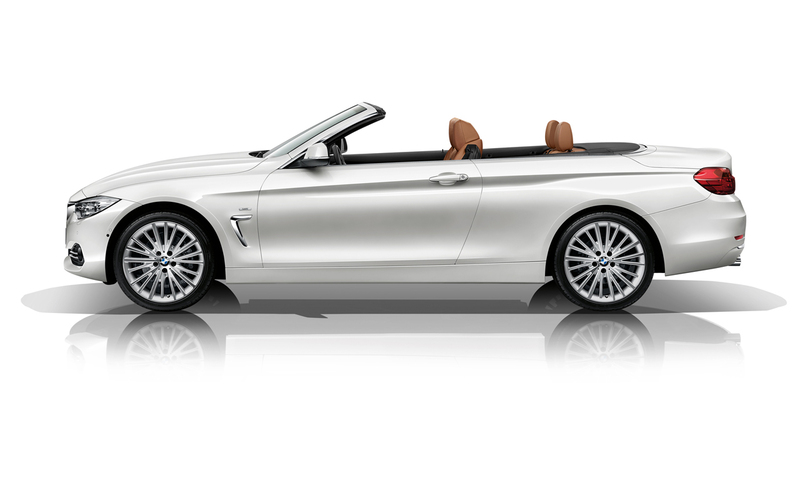 Official Release: The all-new BMW 4 Series Convertible represents the latest chapter in the modern history of BMW Convertibles which dates back to 1987 and the first BMW 3 Series Convertible. 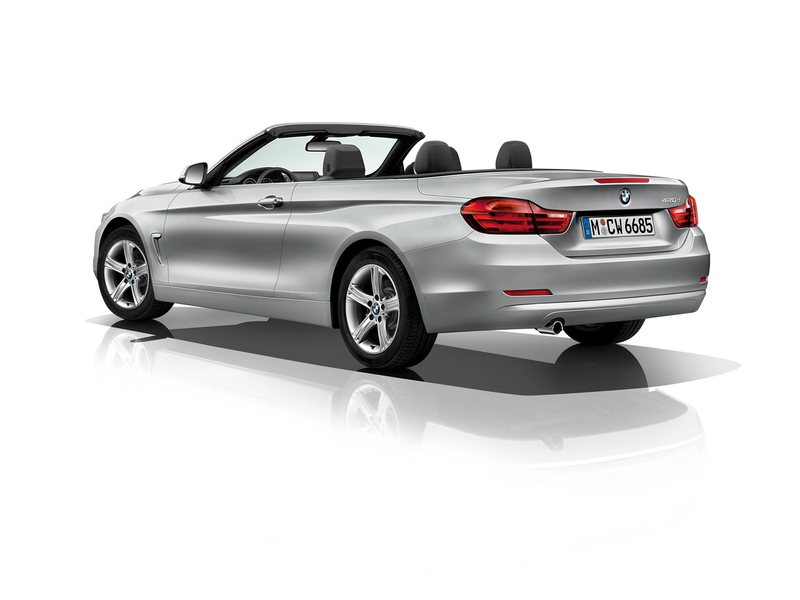 As with the new BMW 4 Series Coupe, the 4 Series Convertible embodies the very essence of dynamics and aesthetic appeal in the premium segment. 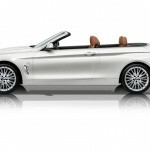 The “4” in its title headlines this new product line for the Convertible and emphasizes not only its stand-out design, but also the fact that any way you look at it, the new 4 Series Convertible represents something more than its BMW 3 Series cousins – 3+1, if you will. 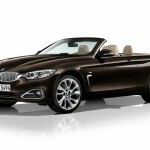 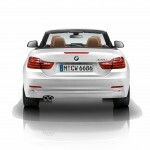 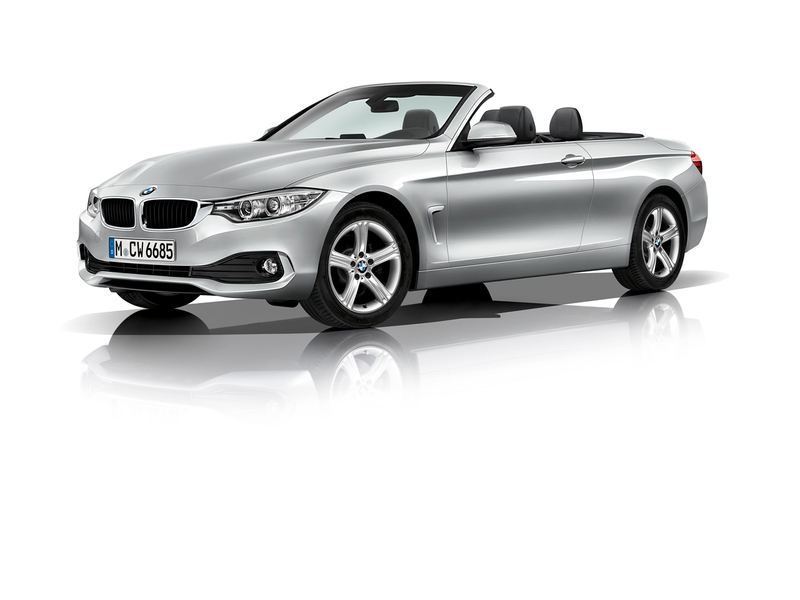 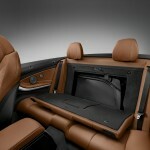 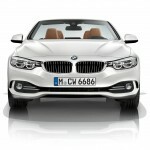 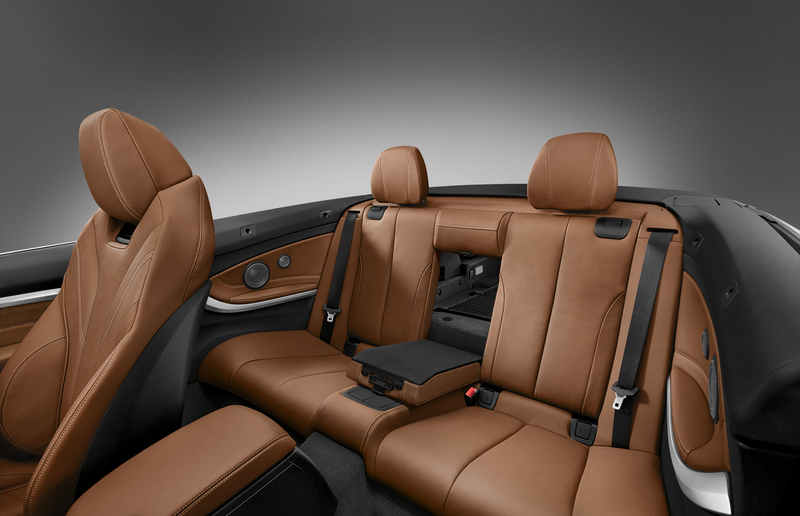 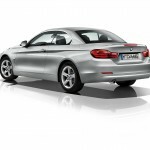 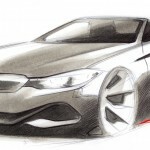 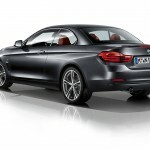 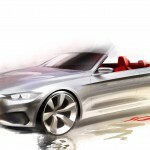 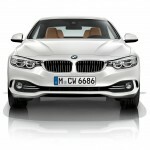 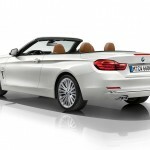 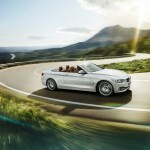 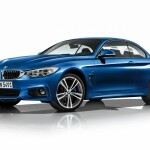 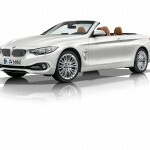 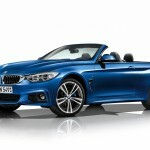 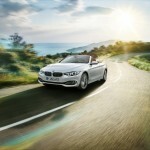 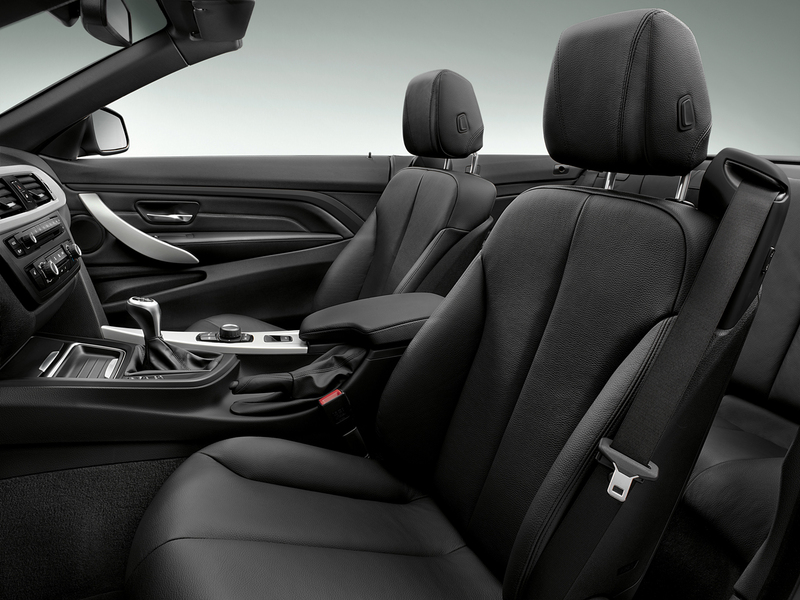 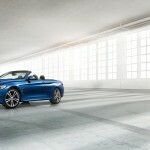 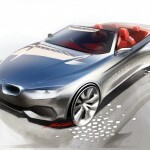 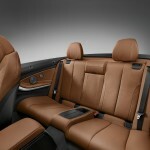 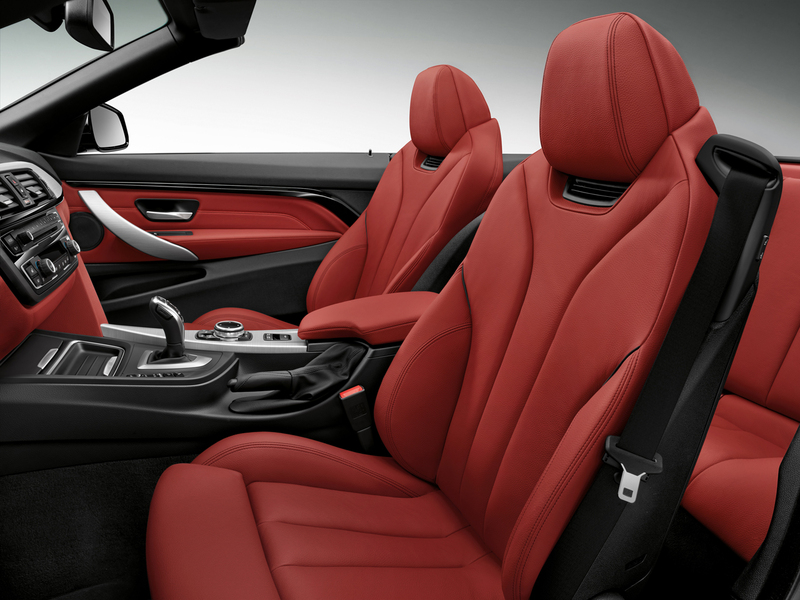 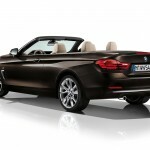 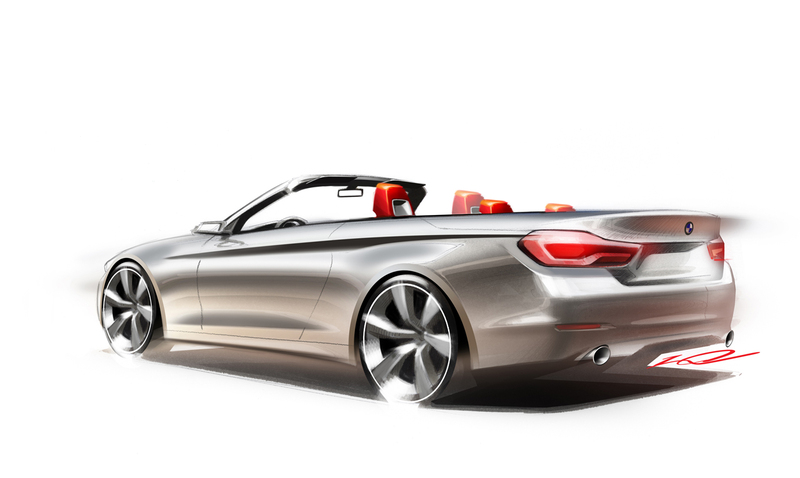 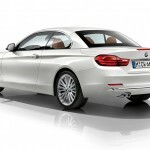 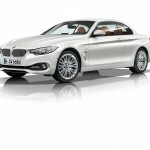 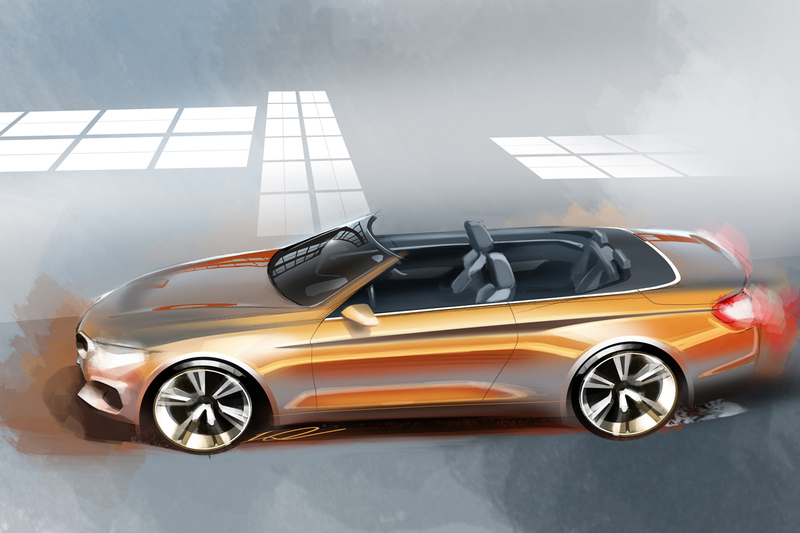 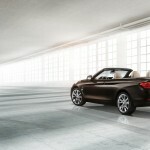 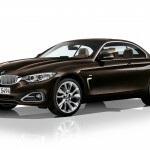 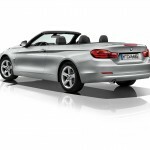 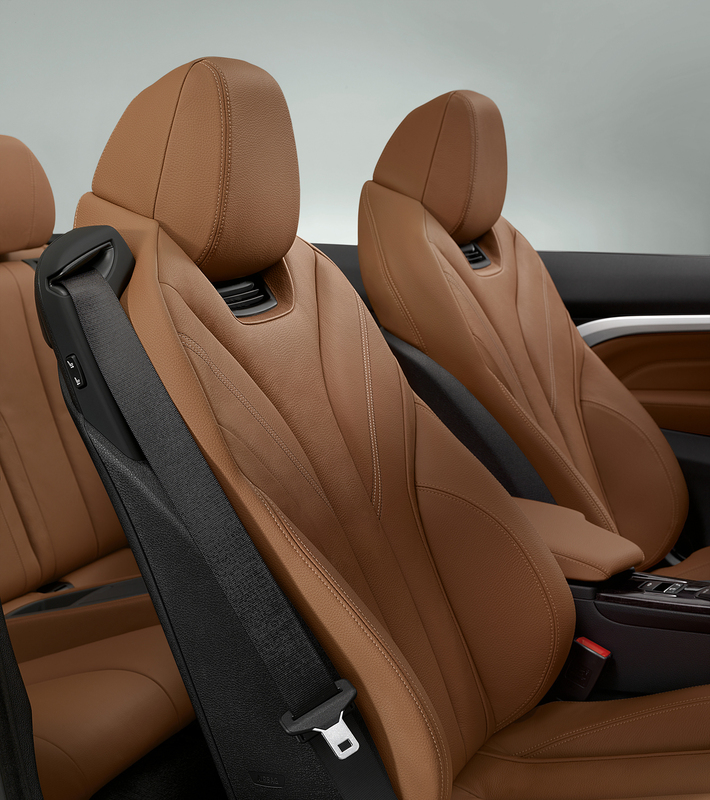 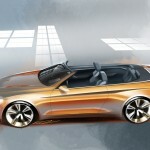 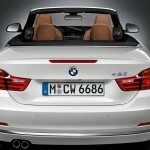 The 2014 BMW 4 Series Convertible will again feature a three-piece retractable hardtop with new features and functionality. 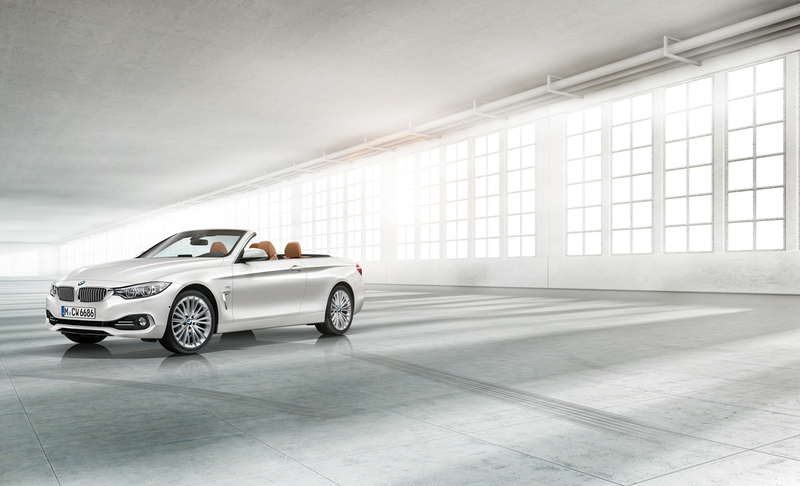 The new BMW 4 Series Convertible will be offered in the US as both a 428i, featuring BMW’s award-winning TwinPower Turbo 2.0-liter 4-cylinder and as a 435i with the multi- award winning TwinPower Turbo 3.0-liter inline six. 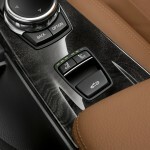 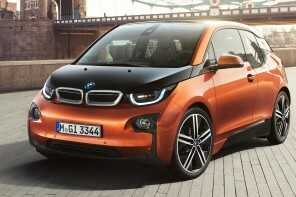 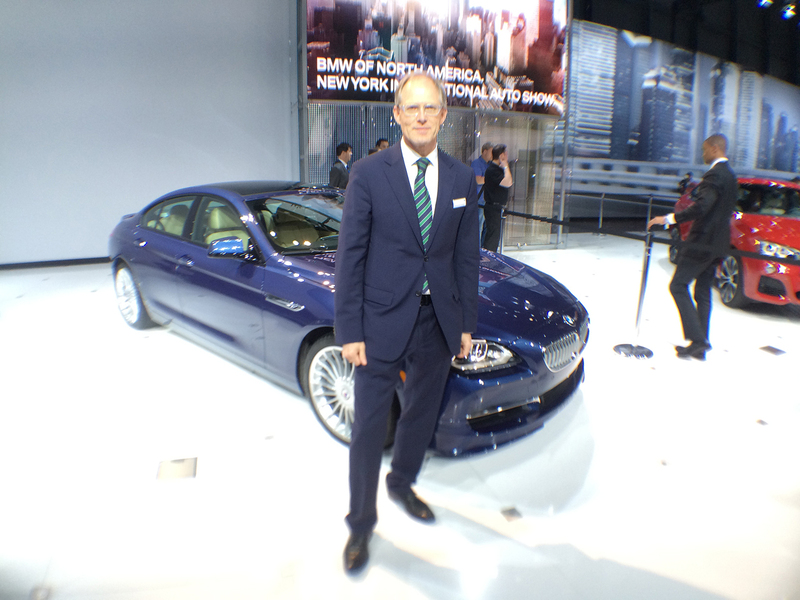 Both will feature a standard 8-speed sport automatic transmission. 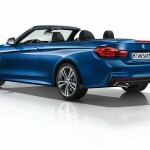 The 428i Convertible will be offered with a choice of rear- wheel drive or with optional xDrive, BMW’s intelligent all-wheel drive system, while the 435i Convertible will be available at launch with rear wheel drive. 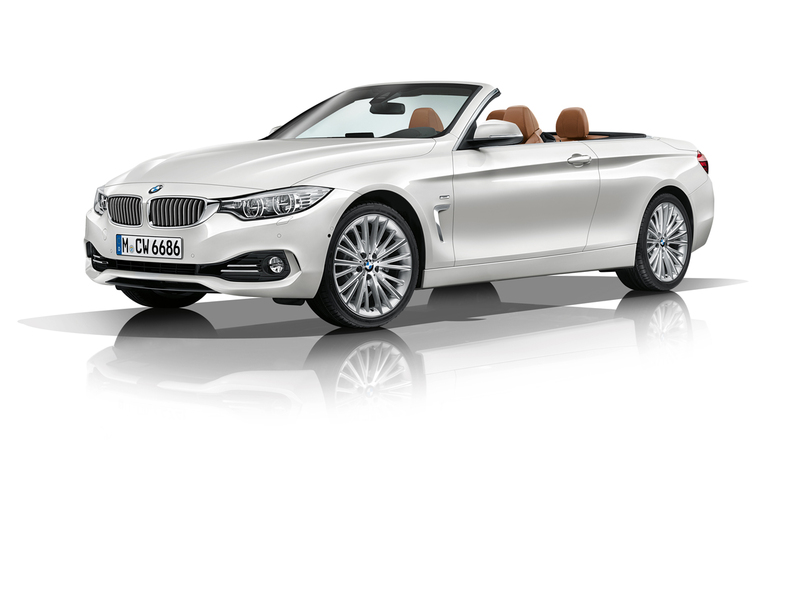 The 2014 BMW 428i Convertible will have a base MSRP of $49,675, and the 2014 BMW 435i Convertible will have a starting price of $55,825. 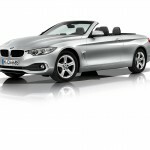 Both prices include $925 destination and handling. 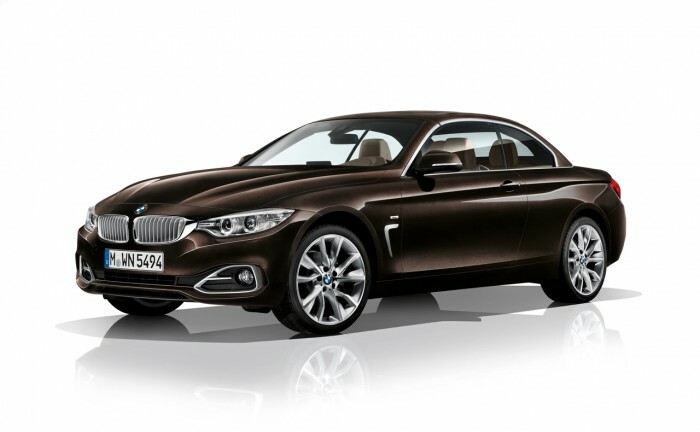 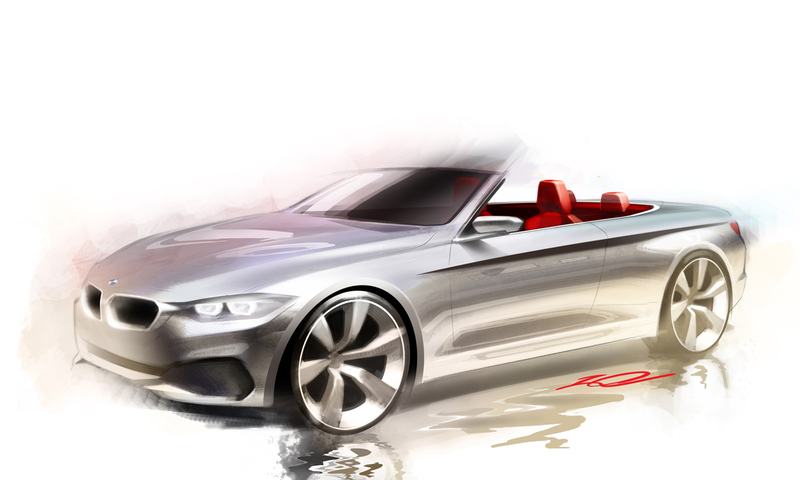 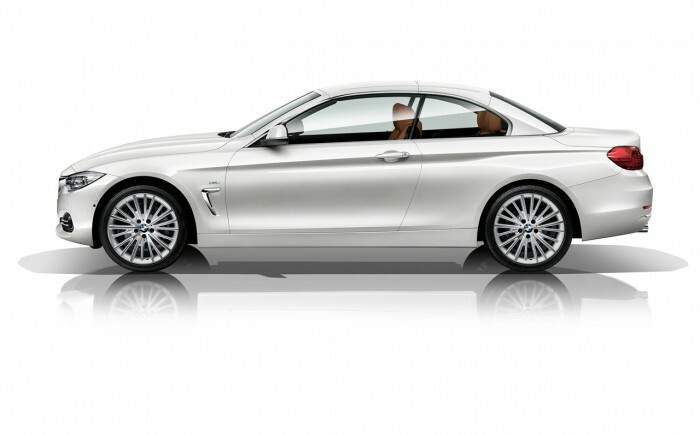 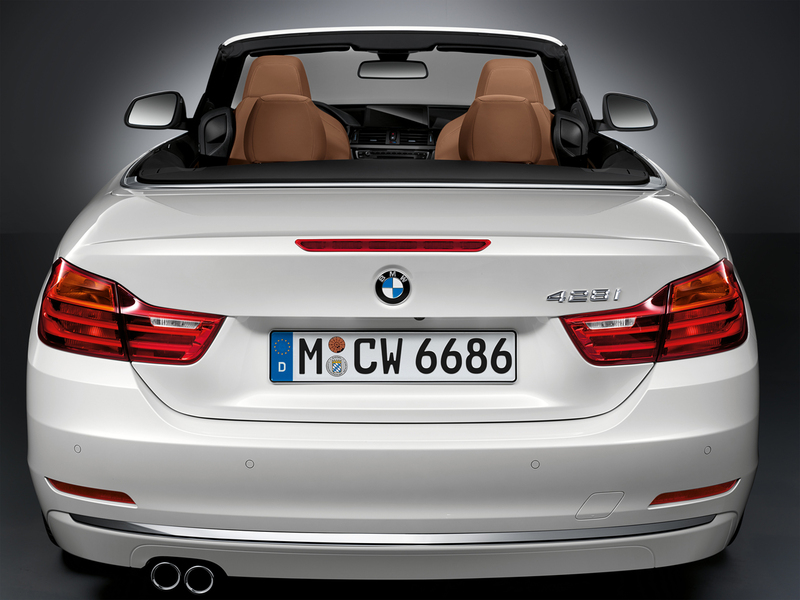 The 2014 BMW 4 Series Convertible will arrive in US showrooms in the first quarter of 2014. The design language of the new BMW 4 Series Convertible is reflected in the car’s unmistakable and elegant silhouette with balanced proportions when the top is down, and in the coupe-like profile of the roofline – without a B-pillar – when the hardtop is up. 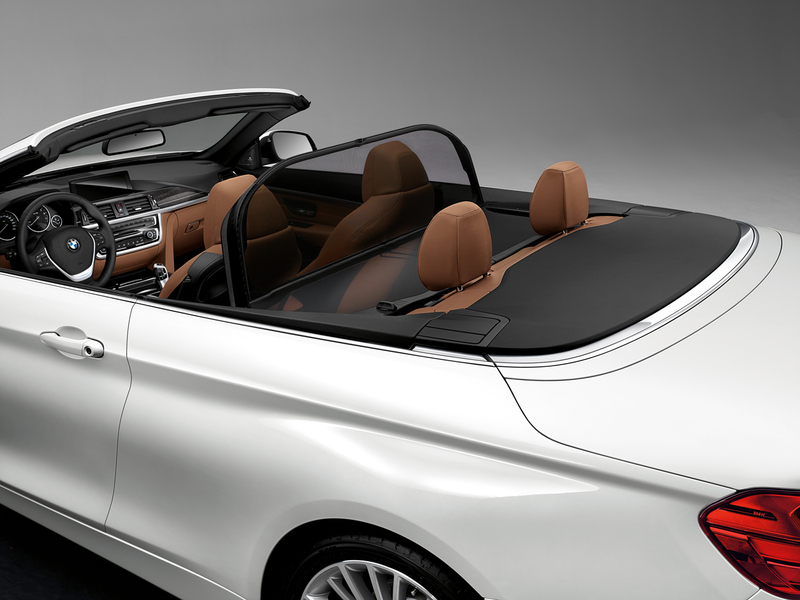 The three- piece retractable hardtop is distinguished by advanced soundproofing with its “noise- absorbing” headliner, ensuring quietness and passenger comfort under all weather conditions – even in winter. 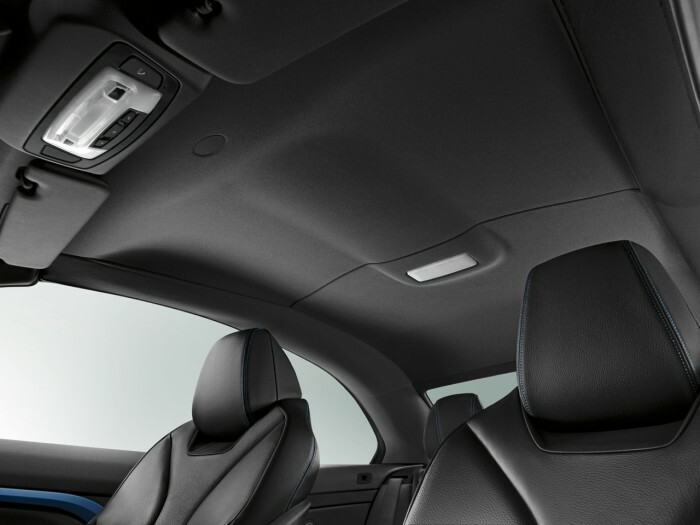 The interior roof is fully lined and features integrated lights that add to the ambience expected of a premium sport coupe. 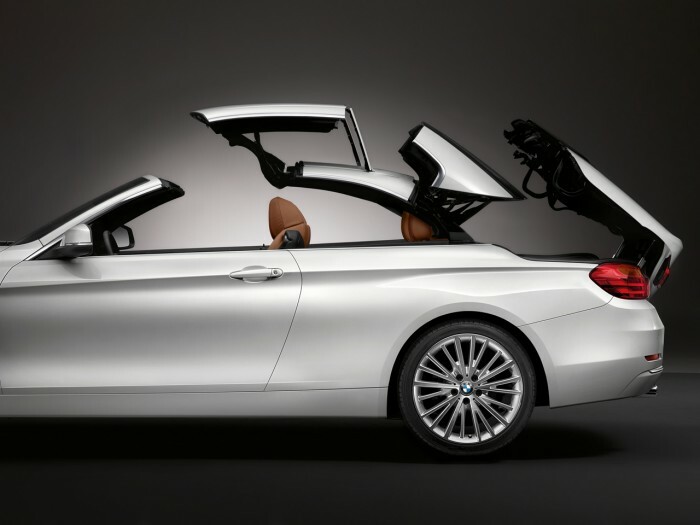 When the top is down and stored in the trunk, the standard load and unload assistance function moves the folded roof and the trunklid upwards to provide ample storage space and easy access. 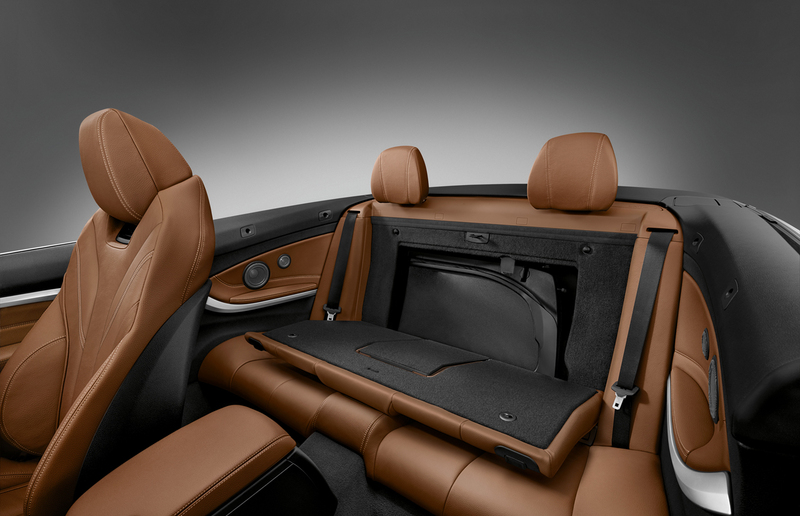 Even large and bulky items, like luggage or golf clubs, can be conveniently stowed when the top is down. The sound-absorbing headliner also reduces wind noise by up to 2 dB in comparison to its predecessor. 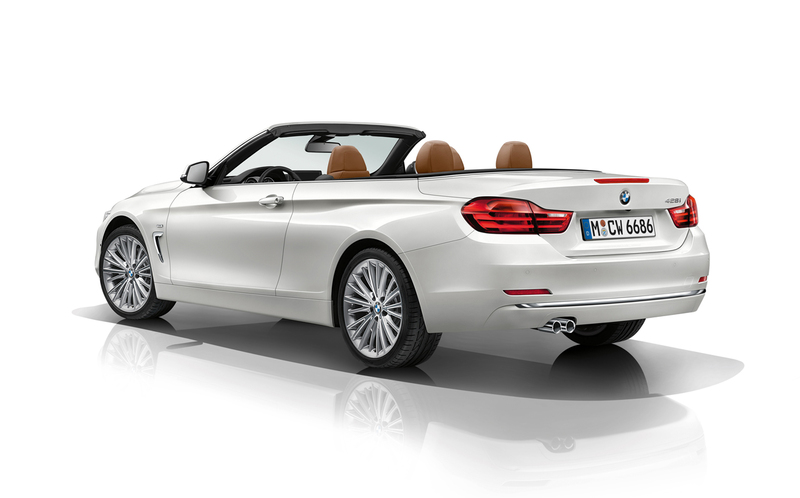 The defining characteristics of the new BMW 4 Series Convertible are its driving dynamics and aesthetics. 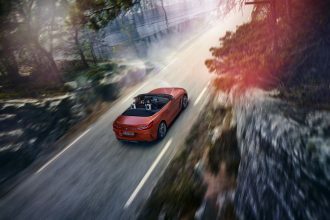 As always, BMW engineers have placed special focus on steering accuracy, precision, linear control response, and agility to fortify the new BMW 4 Series Convertible as the latest shape of The Ultimate Driving Machine. 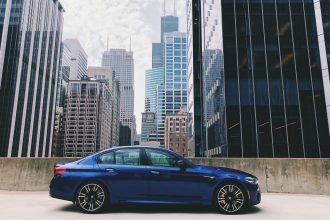 Sophisticated chassis technology, near- perfect 50:50 weight distribution, fine-tuning in the wind tunnel, and lightweight construction all contribute to meet that goal. 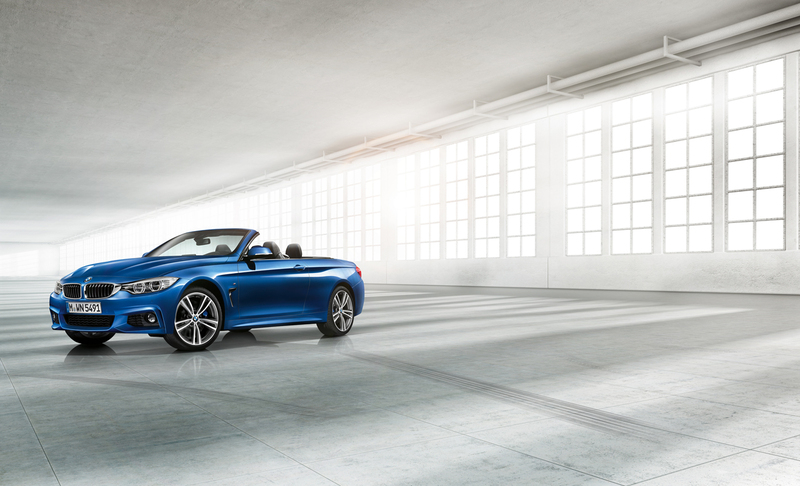 The all-new BMW 4 Series Convertible has a longer wheelbase, wider track and lower ride height than the previous-generation BMW 3 Series Convertible. 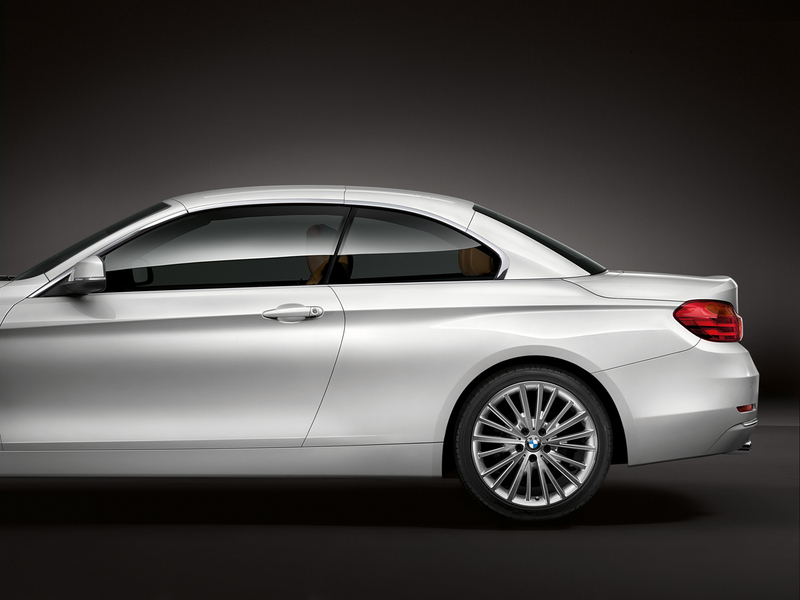 Its lower suspension brings down the car’s center of gravity. 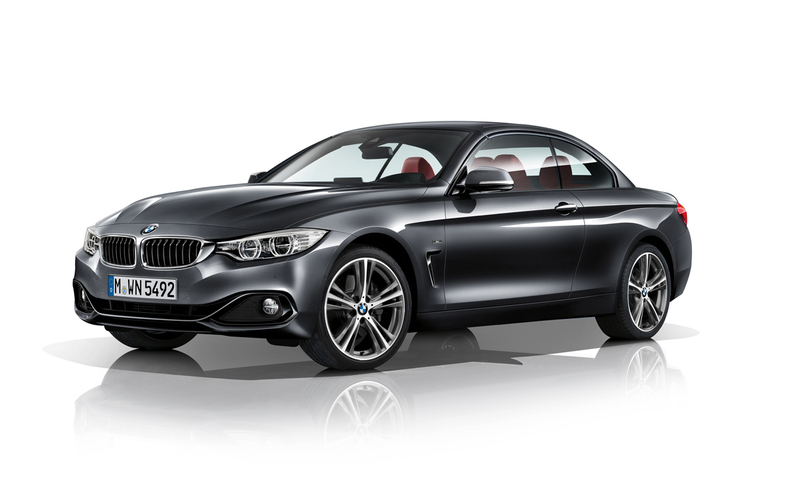 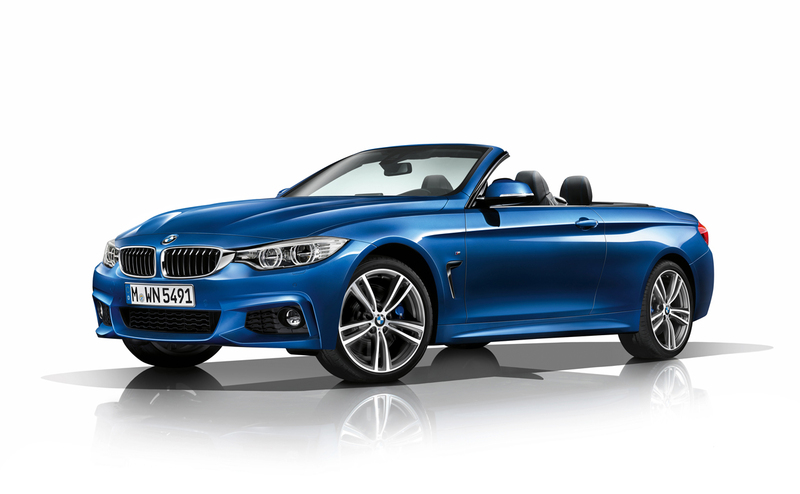 As a result, the new BMW 4 Series Convertible is inherently one of the sportiest open cars on the road. 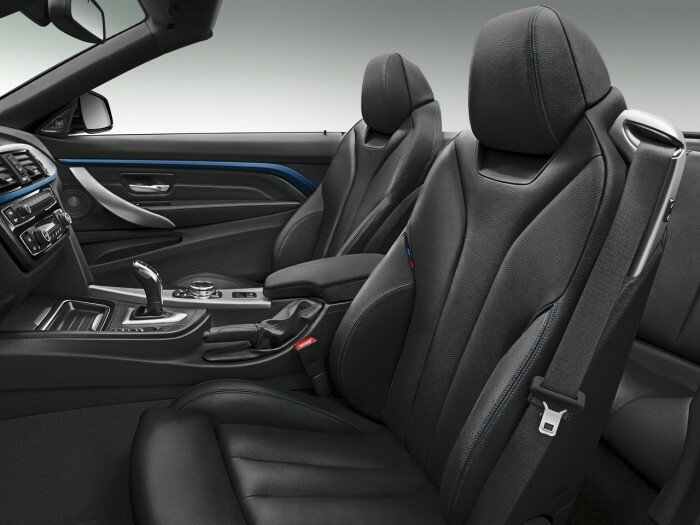 The new BMW 4 Series Convertible uses a combination of driver assistance systems and mobility services (available as standard or optional under the BMW ConnectedDrive banner) to increase safety, comfort and convenience of access to infotainment features. 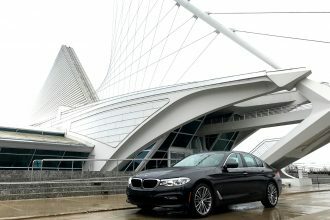 Among the optional highlights are a new generation of BMW Navigation System, which offers extra capability, sharper graphics and 3D elements for the map display, the full-color BMW Head- Up Display; Active Driving Assistant, which warns the driver of a potential collision with a pedestrian, the intelligent; LED High Beam Assistant and the latest iteration of BMW Active Cruise Control with Stop & Go. 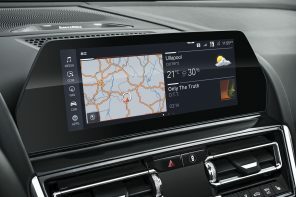 As far as infotainment is concerned, efficient interface technology enables the integration of smartphones and numerous Bluetooth office functions. 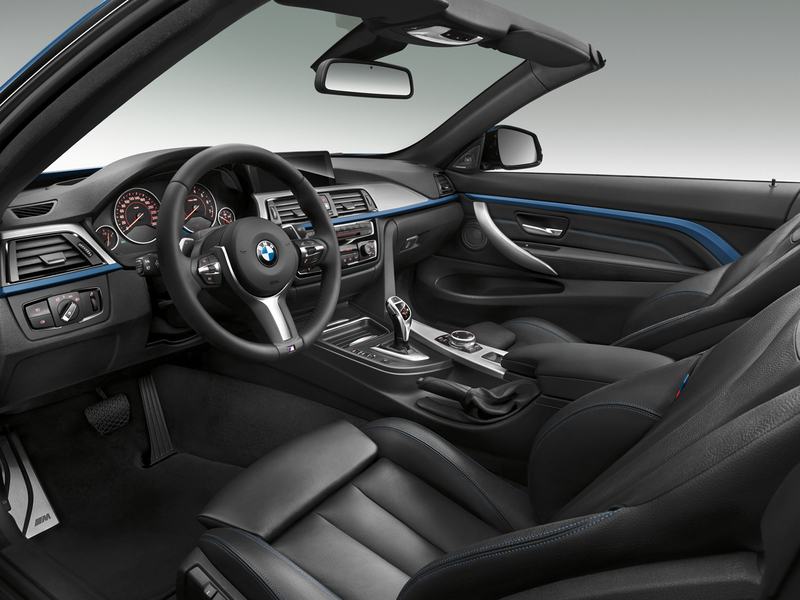 The latter also offers the driver the option of a dictation function with full speech recognition. Each feature has been carefully integrated to minimize driver distraction while the vehicle is in motion. 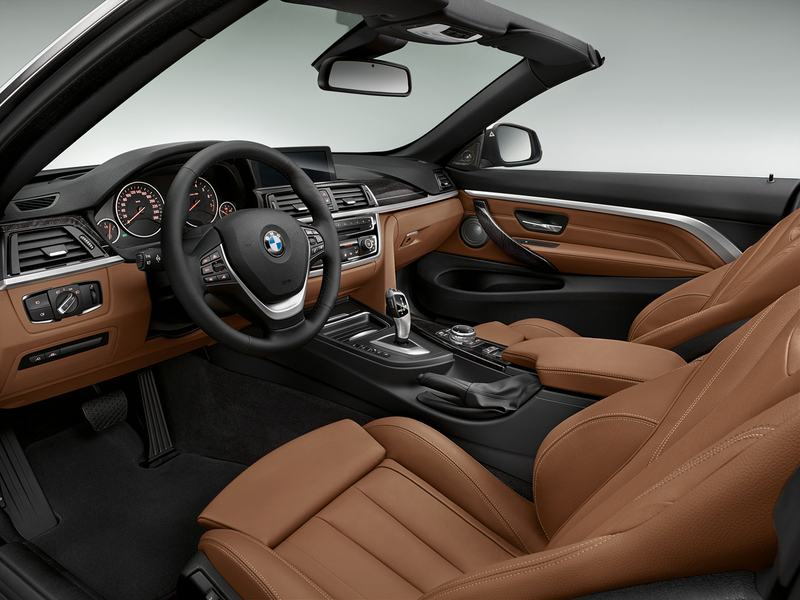 High-class material combinations, exclusive colors and opportunities for personalization define the premium feel inside the new BMW 4 Series Convertible. 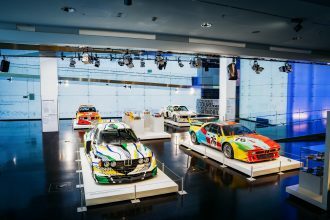 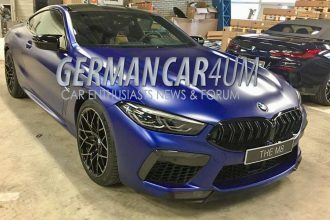 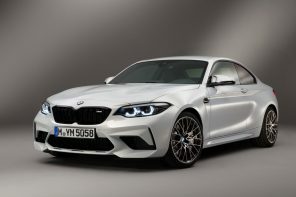 As well as the basic trim level, whose material and color concept accentuates the car’s classic character; customers have a choice of two BMW Lines as well as the popular M Sport to add individual touches to the car’s exterior and interior. 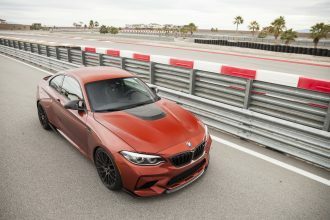 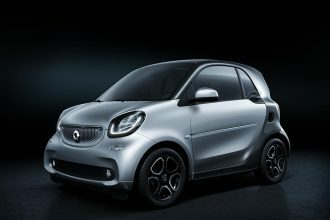 The Sport Line and Luxury Line embody different takes on the car’s character, adapting the design and color scheme for the kidney grille and air intakes,exterior mirror caps, Air Breathers, trim strips in the front and rear apron, door sill strips and range of wheel rims to set the car apart externally from the basic trim level. 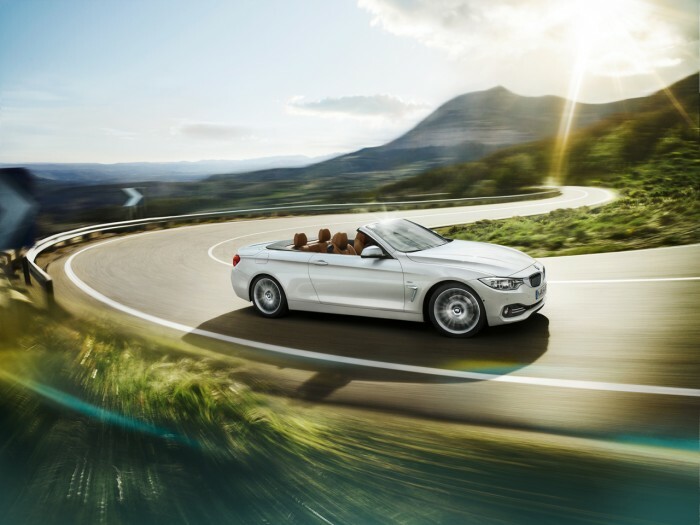 The new BMW 4 Series Convertible comes equipped with powerful swing-caliper or fixed- caliper brakes and large, inner-vented brake discs. 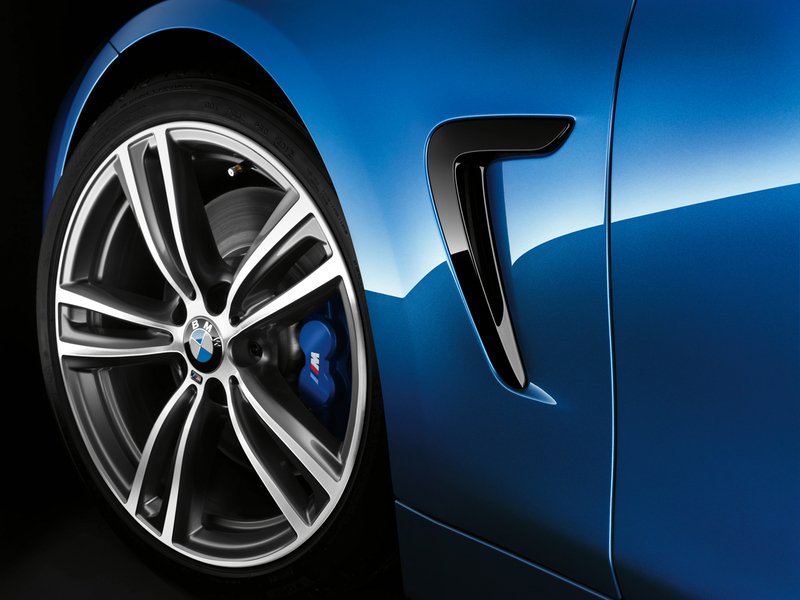 The calipers on the front brakes are made of aluminum. 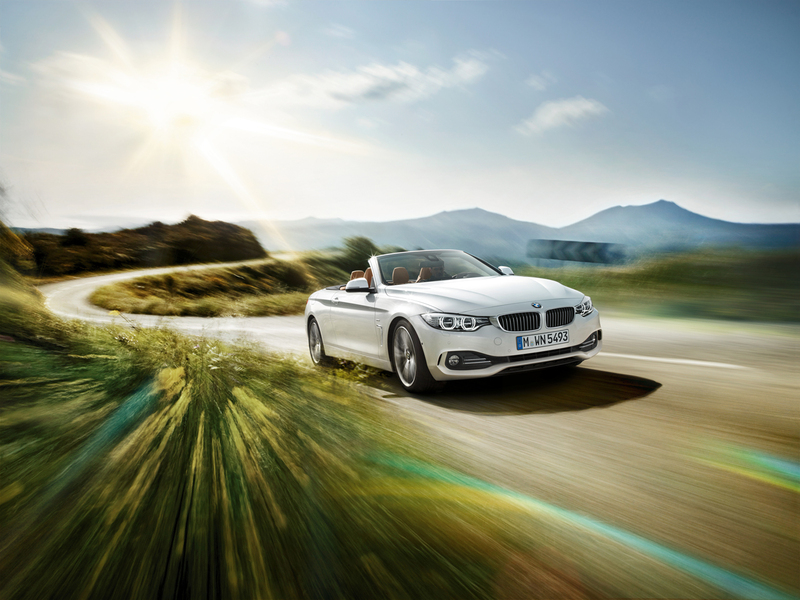 As well as low unsprung weight, the brakes also stand out with their high heat tolerance, excellent wet braking performance, ease of use and excellent feel. 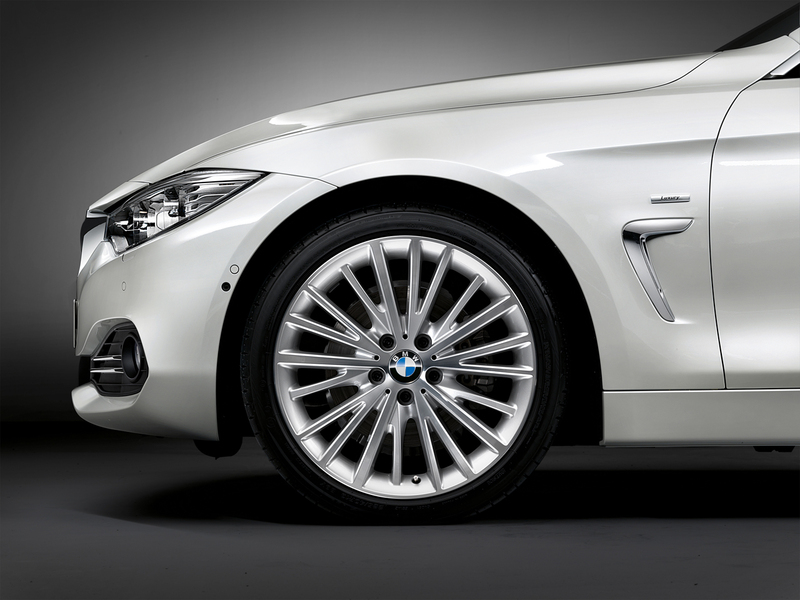 A brake pad wear indicator and the Brake Drying function are standard on all models. 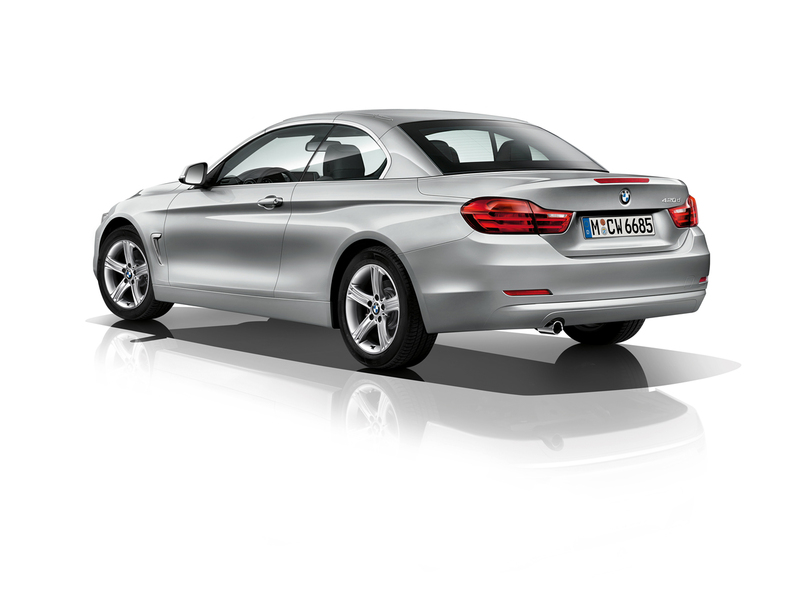 Dynamic performance and handling is significantly influenced by vehicle weight. 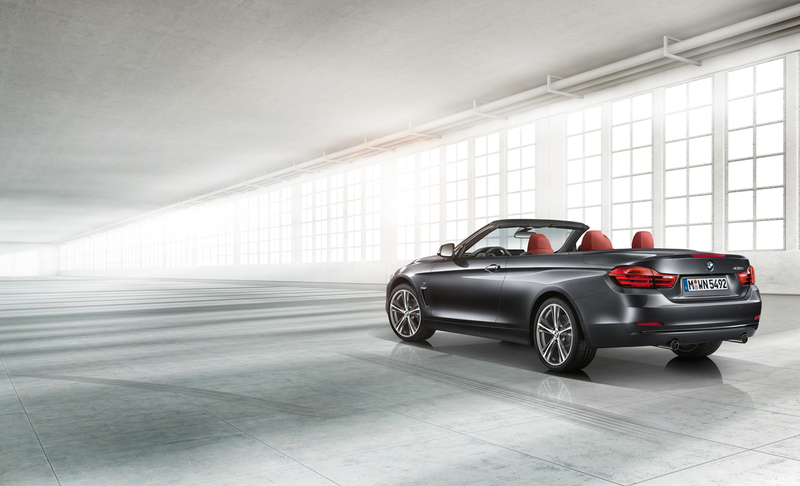 The new BMW 4 Series Convertible’s intelligent lightweight construction concept makes a major contribution to the car’s dynamic qualities. 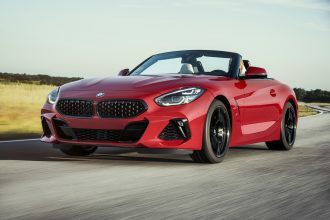 The use of high- and ultra-high-strength multi- phase steels and tailored blanks, customized precision components for specific applications, maximizes the body’s strength. 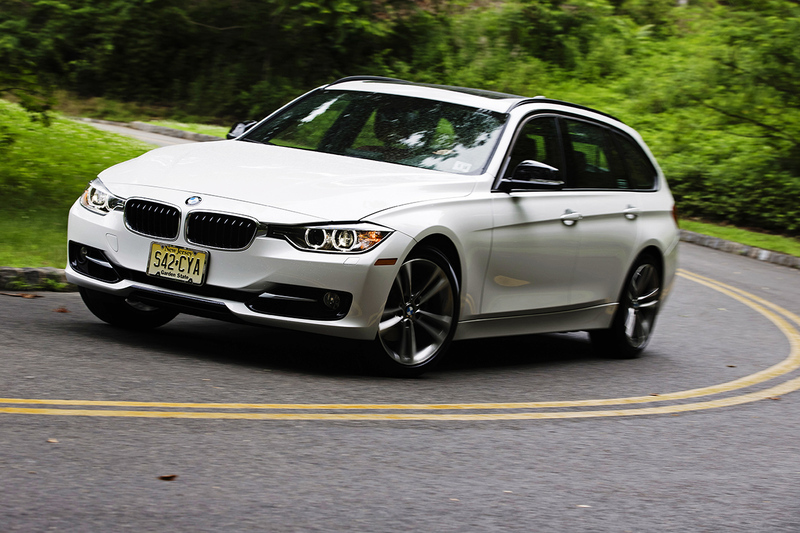 The torsional rigidity has been increased by 40 percent compared with its predecessor. 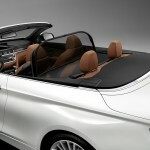 The top also plays a decisive role in a convertible, because the car does not have a roof serving as a permanent support element. 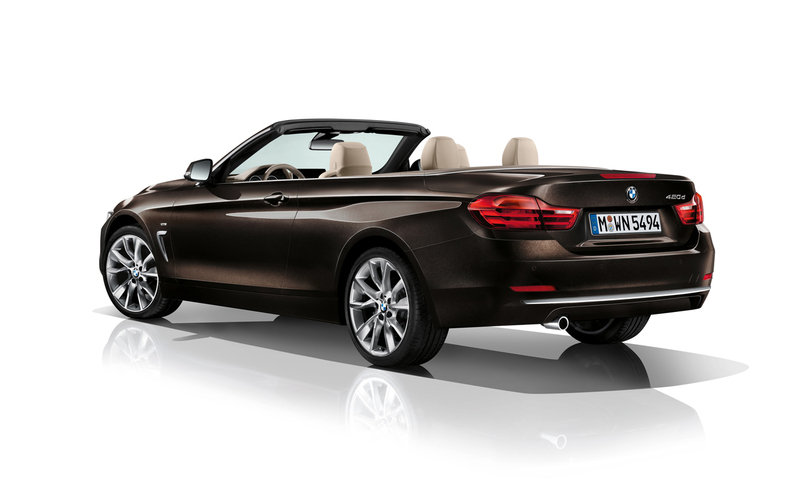 The BMW 4 Series Convertible is up to 44 lbs. 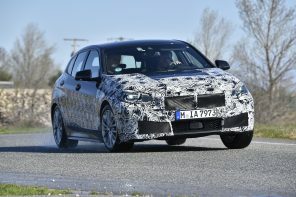 (20 kg) lighter than its predecessor, depending on the model, even though the new vehicle is larger and complies with more stringent safety standards. 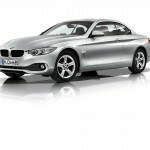 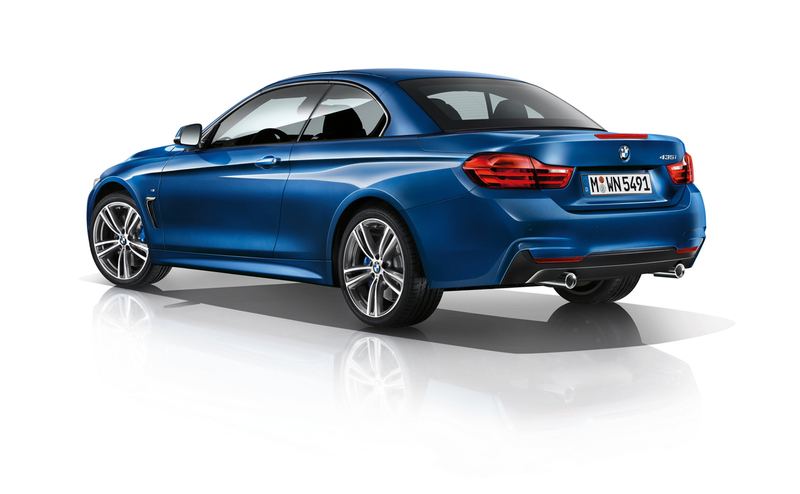 The M Sport suspension included is part of the Sport Line and M Sport. 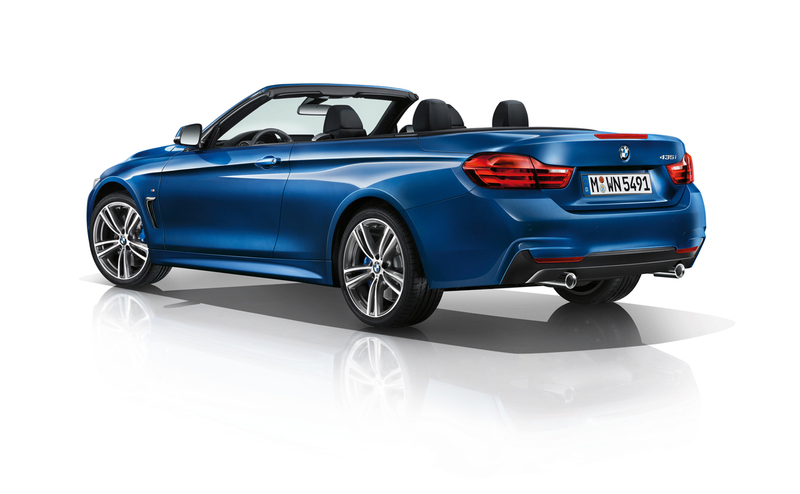 It works with a firmer spring/shock absorber set-up and stiffer anti-roll bars, and its kinematics/ elastokinematics (bushings and bearings) have also been tweaked to suit the new BMW 4 Series Convertible. 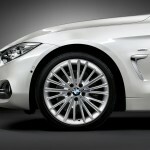 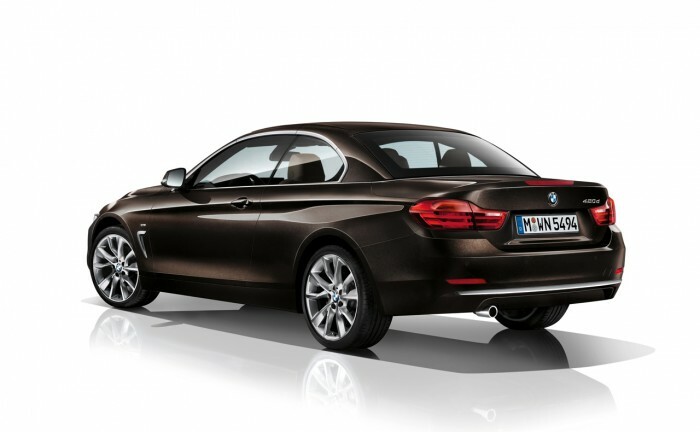 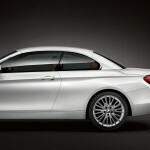 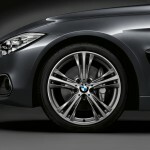 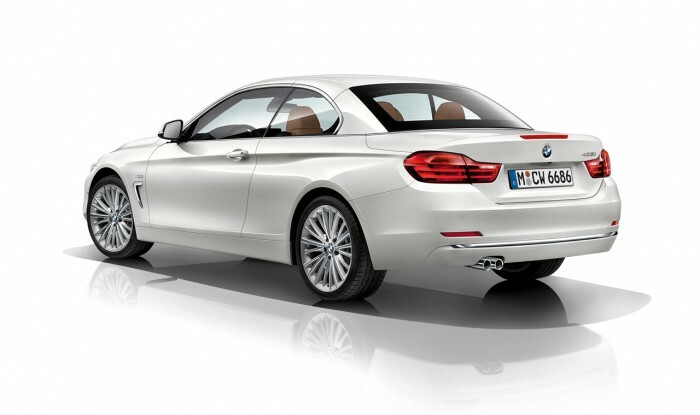 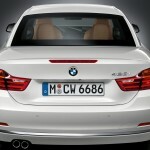 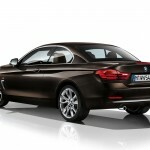 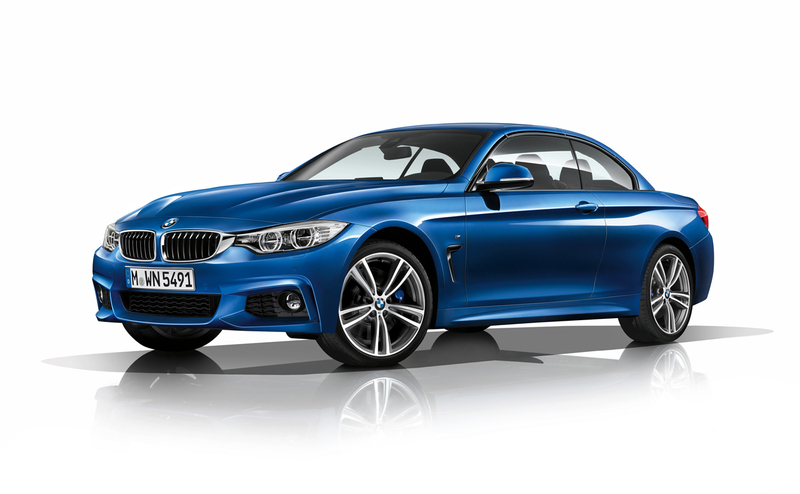 The M Sport suspension also includes 18-inch or optional (435i only) 19-inch light-alloy wheels. 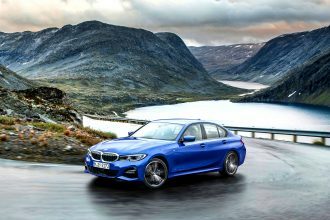 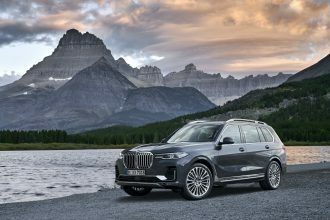 Alternatively, customers can select a lowered (non-xDrive models) Adaptive suspension, included in the Dynamic Handling Package, which adjusts the electronic damper mapping to each road surface and driving situation. 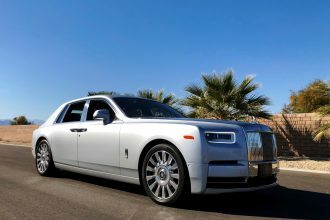 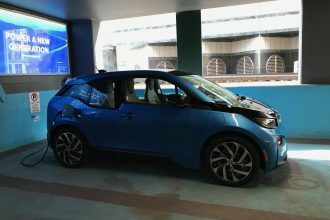 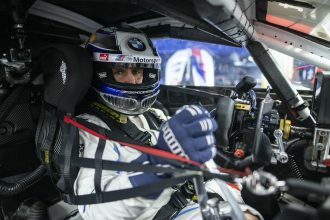 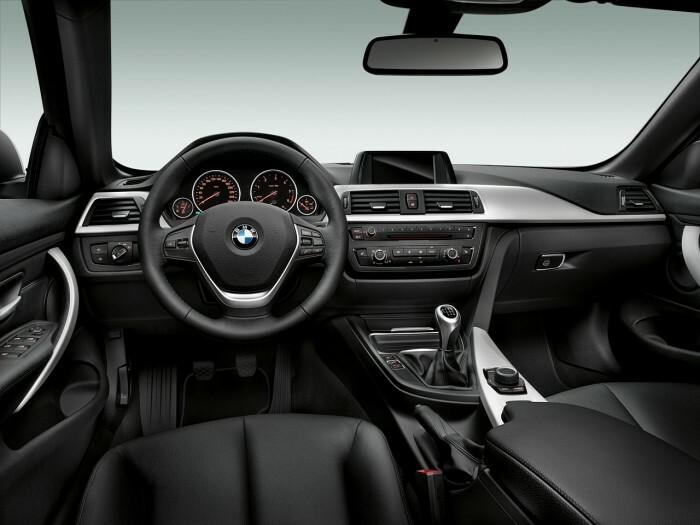 The driver can also use the Driving Experience Control switch to vary the basic suspension settings between comfort and sport, according to personal preference. 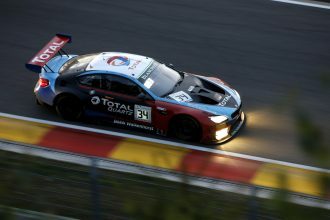 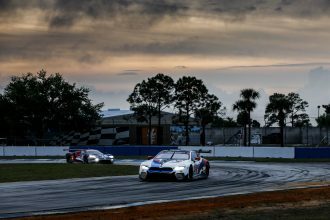 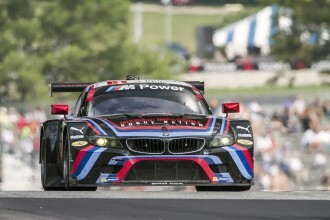 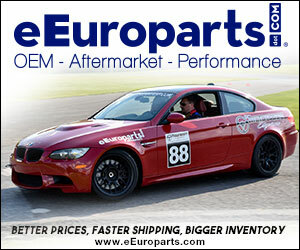 For performance-minded customers, BMW offers the M Sport Brakes. 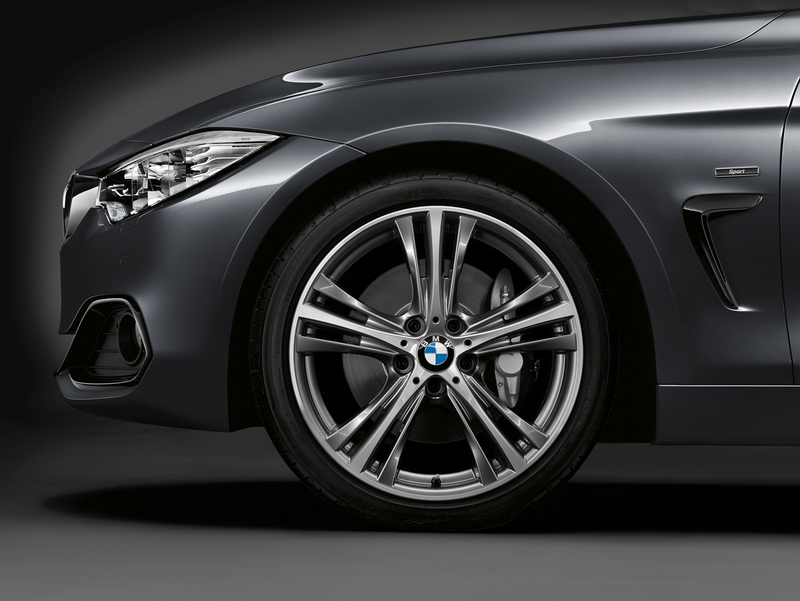 The aluminum fixed calipers (four-piston at the front, two- piston at the rear) and large discs combine low weight with short stopping distances. 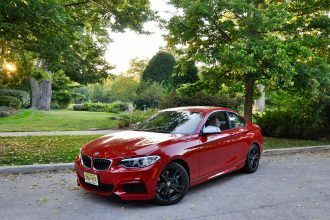 Smooth power delivery, available torque, high revs and low weight define the 2.0-liter four- cylinder turbocharged engine. 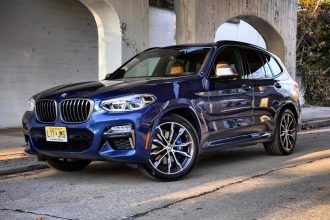 BMW’s engine technology package – including High Precision Direct Injection, twin-scroll turbocharging, Double-VANOS variable camshaft control and Valvetronic throttle-less intake technology – offers high performance potential combined with low fuel consumption and emissions. 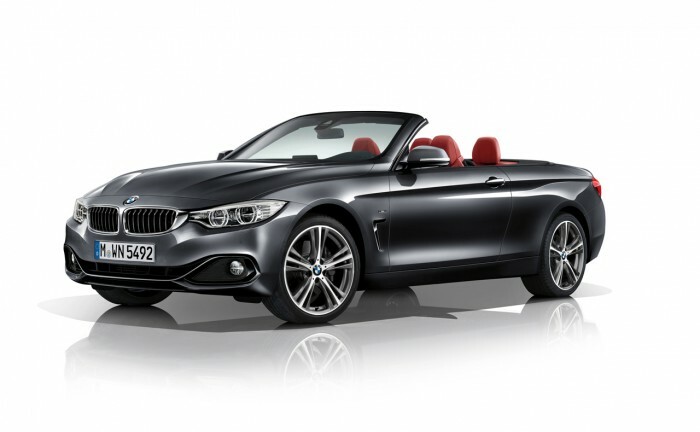 The cutting-edge four-cylinder engine of the new BMW 428i Convertible generates maximum output of 240 hp at 5,000 – 6,500 rpm and peak torque of 255 lb-ft, which the driver can access between 1,250 and 4,800 rpm. This allows the 428i to sprint from 0 to 60 in about 6.2 seconds and has an electronically limited top speed of 250 km/h (155 mph), when equipped with summer performance tires. 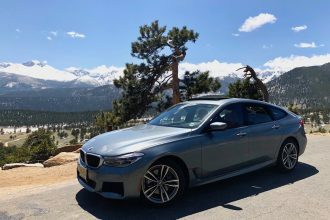 The engine gives a smooth power delivery from the moment it spins above idle to the upper regions of its engine speed range along an almost linear curve. 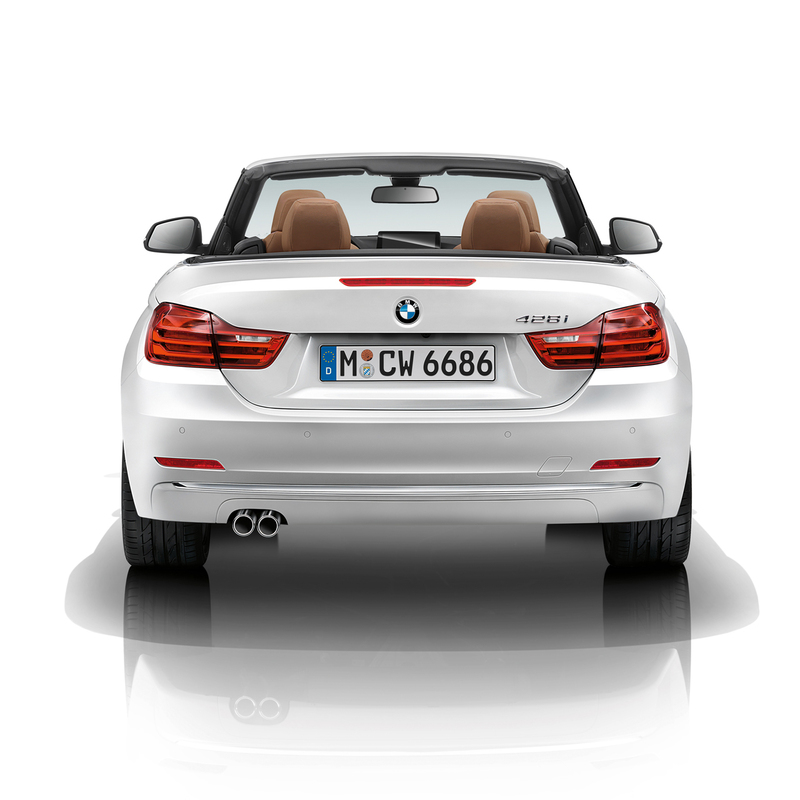 As an alternative to rear-wheel drive, the 428i Convertible can also be specified with BMW xDrive intelligent all-wheel drive. 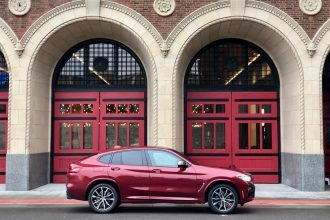 As well as sharing all the traditional virtues of all-wheel- drive systems – such as increased traction, safety and the optimum transfer of engine power to the road – BMW xDrive can also reduce oversteer or understeer that may occur in cornering situations. In the process, it enhances agility and precision, e.g. 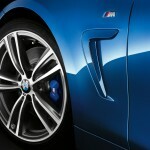 when turning into corners or when accelerating strongly out of them. 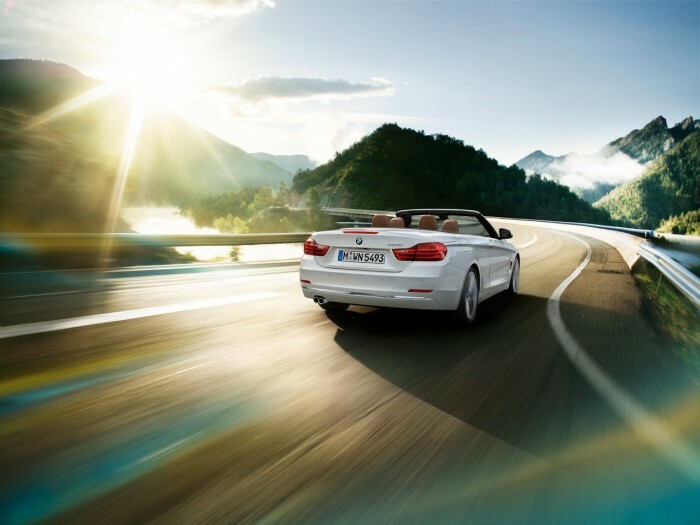 The new BMW 4 Series Convertible’s ancillary components also play a role in the car’s intelligent energy management. 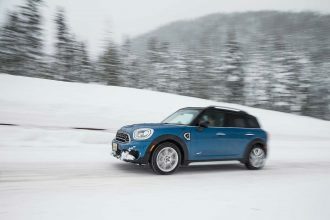 Examples include the on-demand coolant pump, the map- controlled oil pump and the Electric Power Steering system, which only consumes electricity when steering assistance is actually required. The special air conditioning compressor works on the same principle. 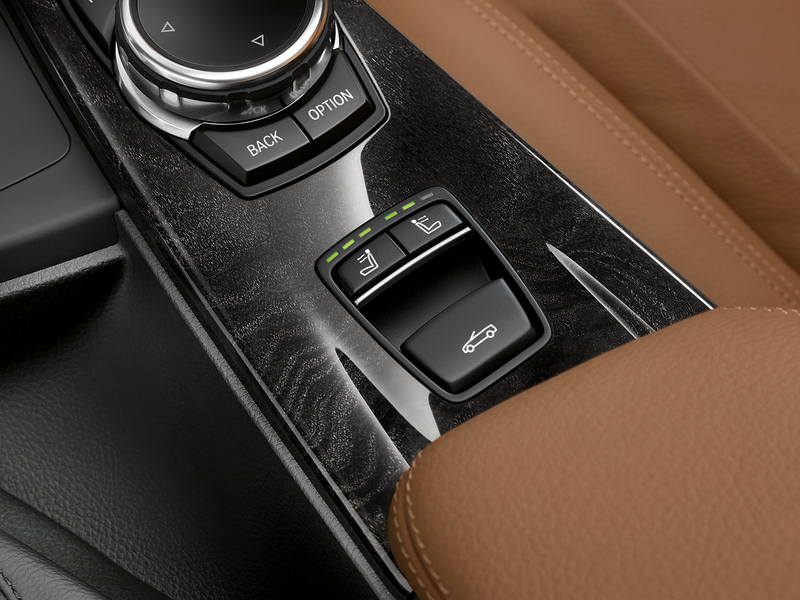 As soon as the driver switches the air conditioning off, the belt drive to the compressor is disconnected to minimize power drain. 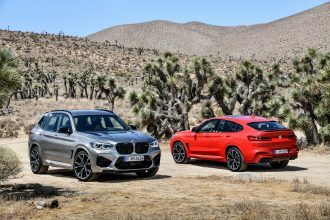 The use of lightweight materials makes a significant contribution to efficiency and agility, and helps to give BMW cars their impressive dynamic capability. 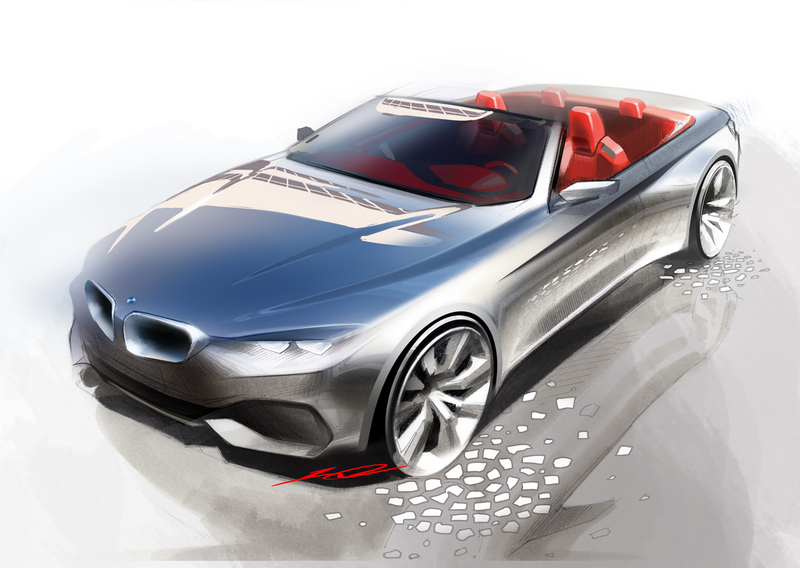 Weight savings can be found in every area of the development process. 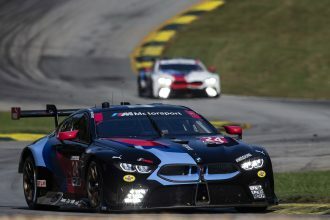 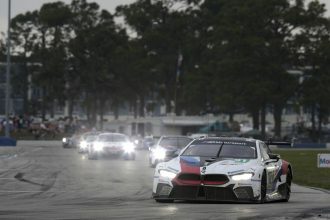 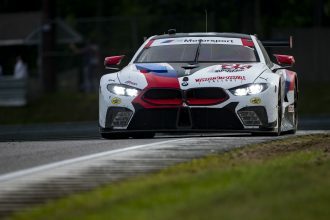 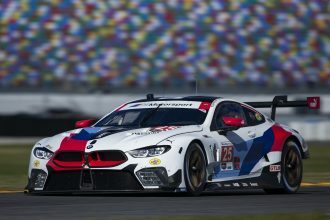 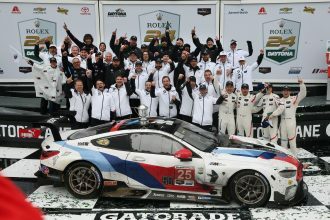 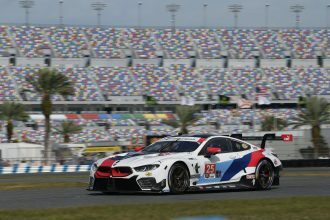 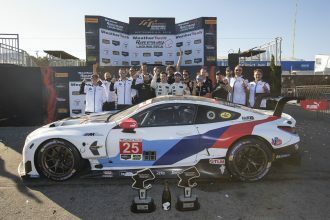 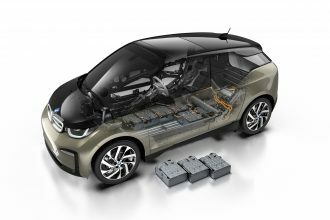 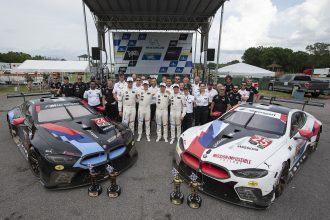 As well as the use of plastics and cutting- edge composite materials, the increased deployment of aluminum components in the engine and chassis construction has also reduced the weight of the corresponding assemblies. 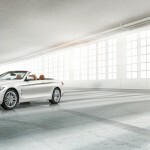 TeleService tells the driver if and when maintenance is required. Fixed service intervals become a thing of the past, because the intelligent maintenance system, Condition Based Service, constantly monitors your vehicle’s service needs. When necessary, the vehicle communicates service-relevant data to the nearest BMW Service Center by making an Automatic BMW TeleService Call. 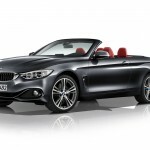 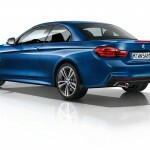 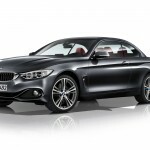 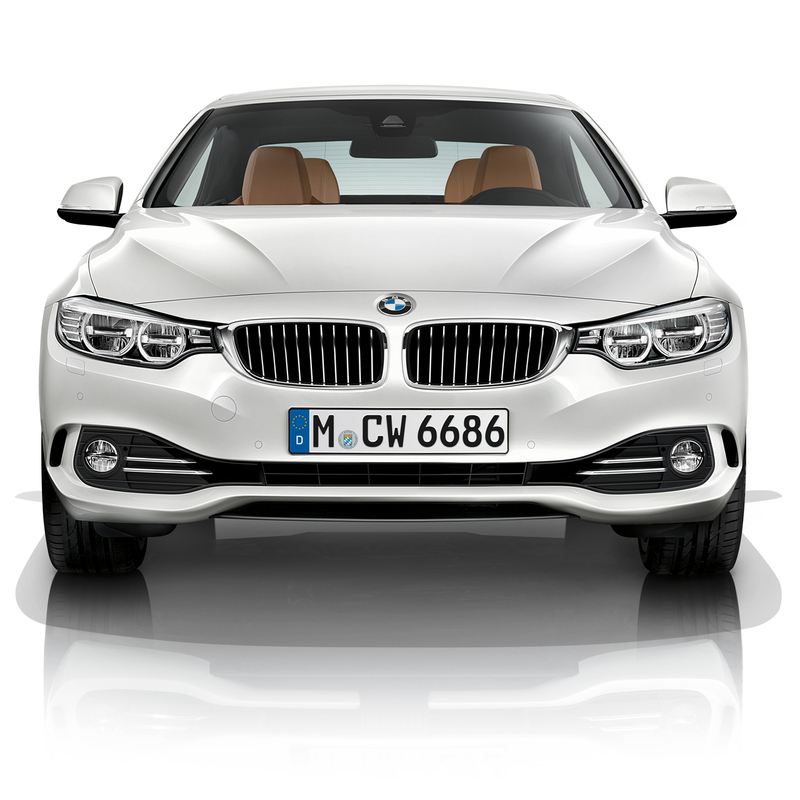 BMW Navigation – Touchpad, Point-of-Interest voice search and enhanced route tailoring among highlights The latest BMW navigation system, which is optional on the new BMW 4 Series Convertible, has received many enhancements. 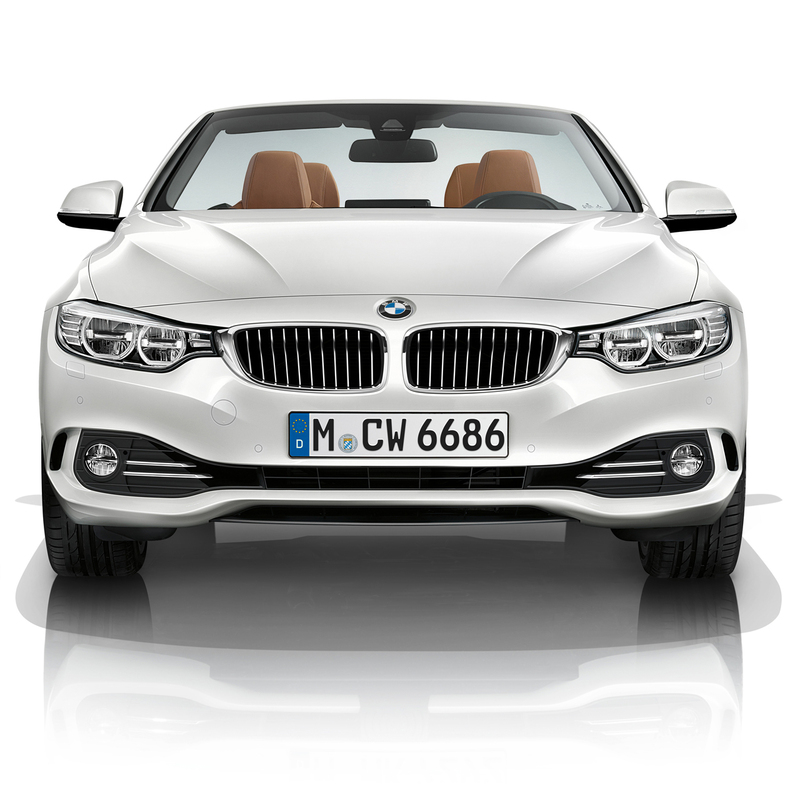 One of the highlights of the new BMW 4 Series Convertible is the available full-color Head- Up Display. 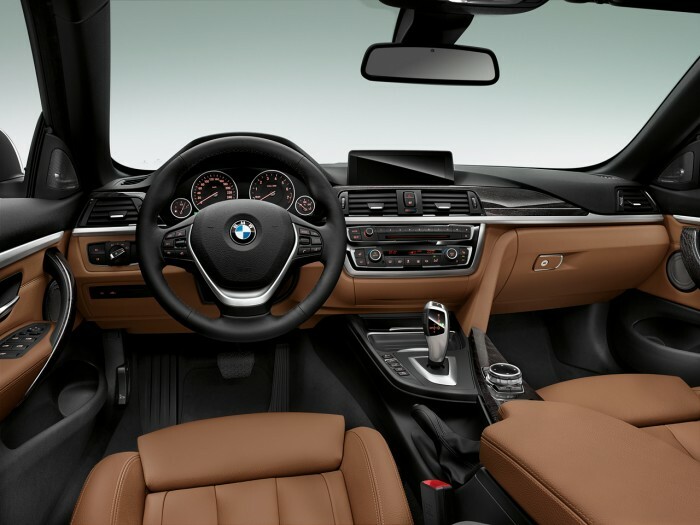 HUD projects key information onto the windshield to appear directly in the driver’s field of view to minimize the time the driver has to look away from the road. 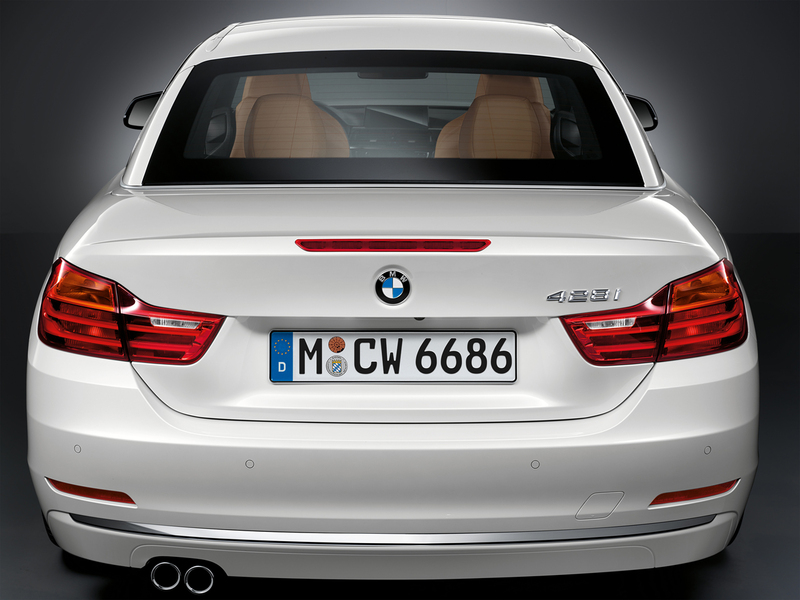 Depending on the vehicle specification, not only is the current speed displayed, but speed limits and passing restrictions are also flashed up for the driver’s benefit, along with navigation instructions and various warning messages. 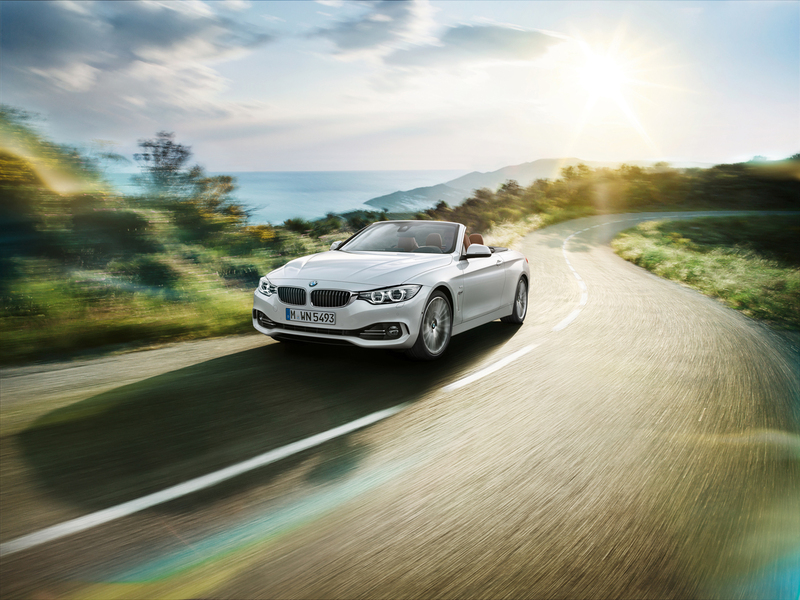 The variety of driver assistance systems available for the new BMW 4 Series Convertible brings the amount of information that can be shown in the Head-Up Display to a whole new level. 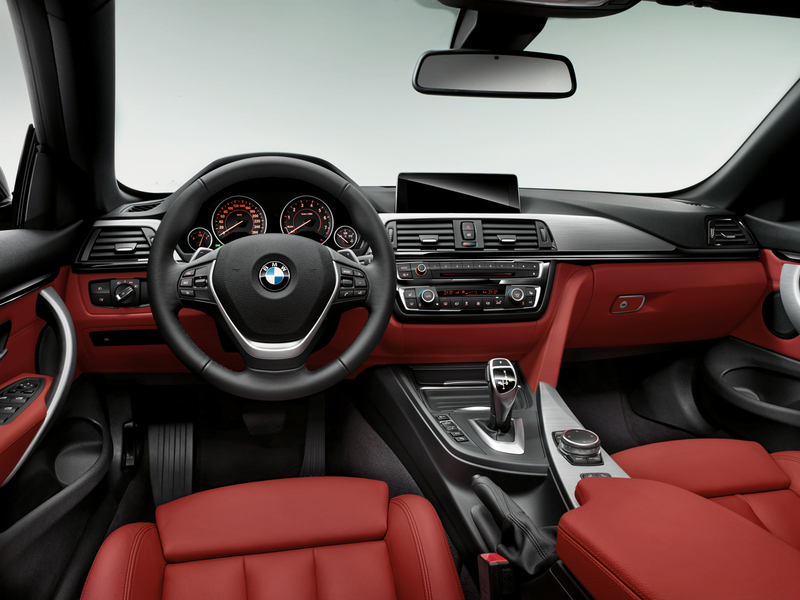 The intensity of the projections adapts automatically to the light conditions and follows the illumination of the cockpit dials. 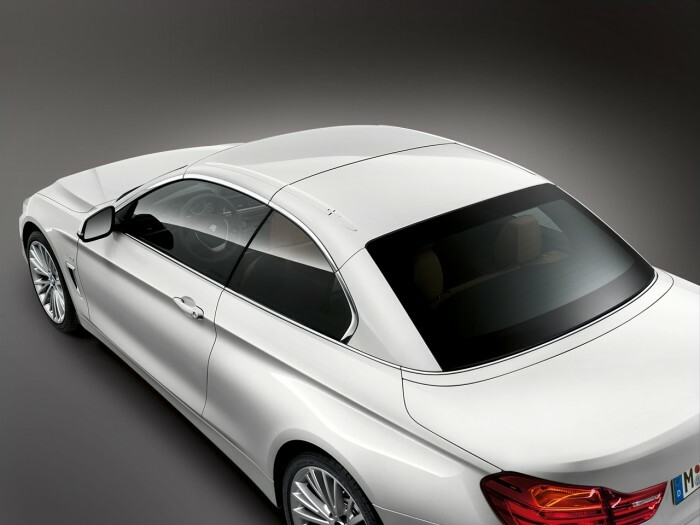 The positioning of the projections on the windscreen can also be adjusted using the iDrive Controller. Using sensors and camera monitoring: Active Blind Spot Detection and Lane Departure Warning systems. 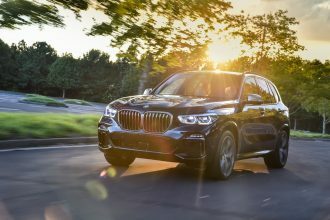 Among the convenience and safety-enhancing assistance systems on offer are Active Blind Sport Detection and Lane Departure Warning, with the latter available as part of the Active Driving Assistant option. 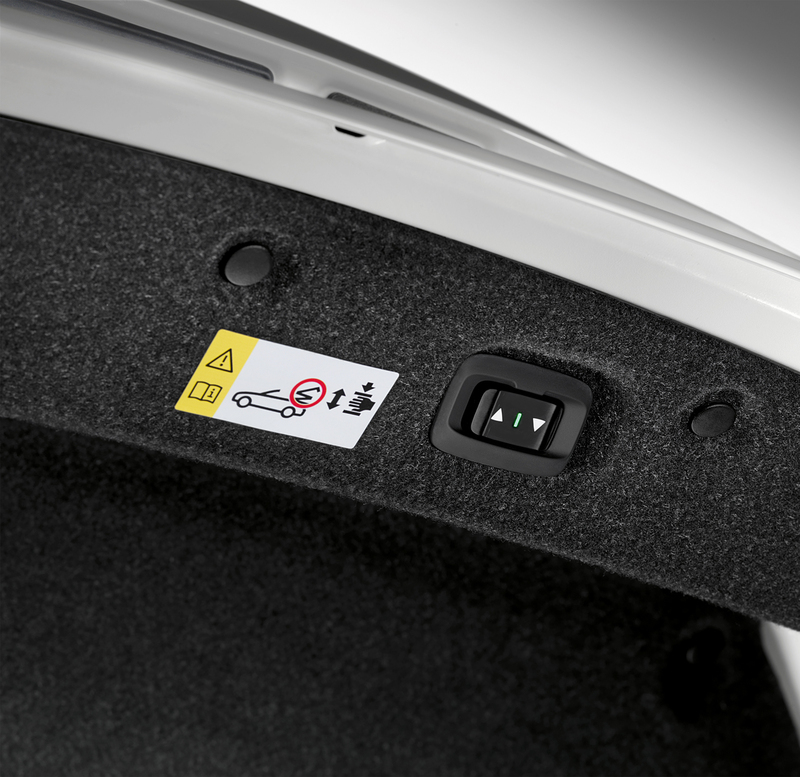 These systems use radar sensors and camera monitoring to alert drivers to potential collision risks when changing lanes or if they veer out of lane unintentionally. 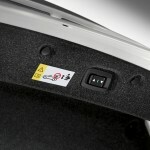 It also issues a warning when driving too close to the vehicle ahead.